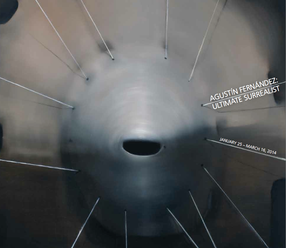 Agustin Fernandez Foundation News - Benvenuti su agustinfernandez! 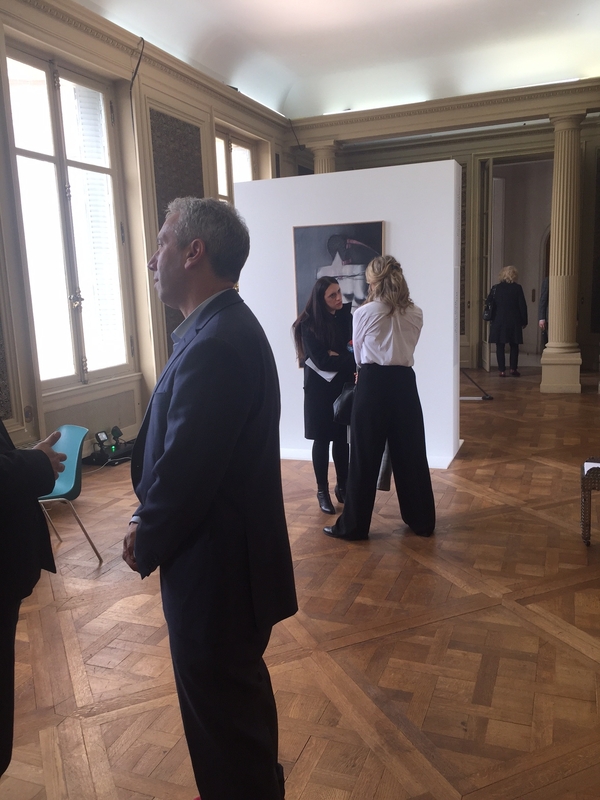 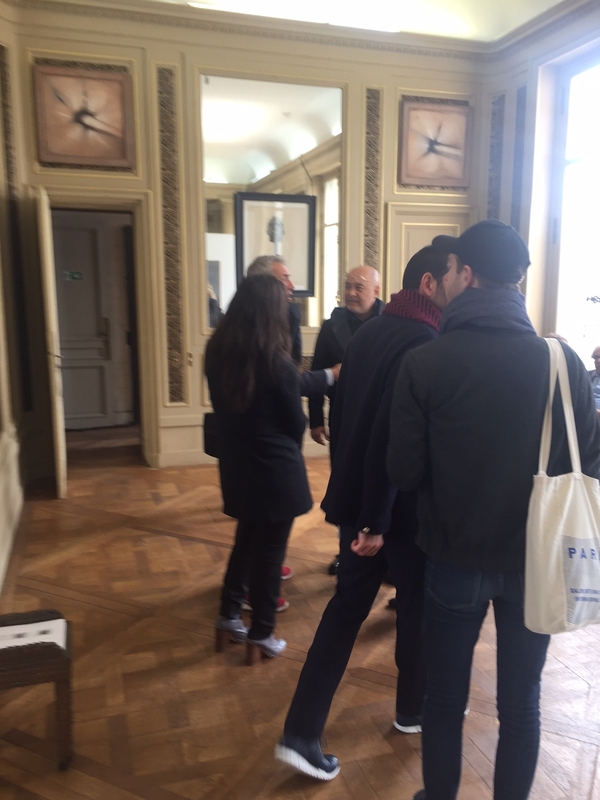 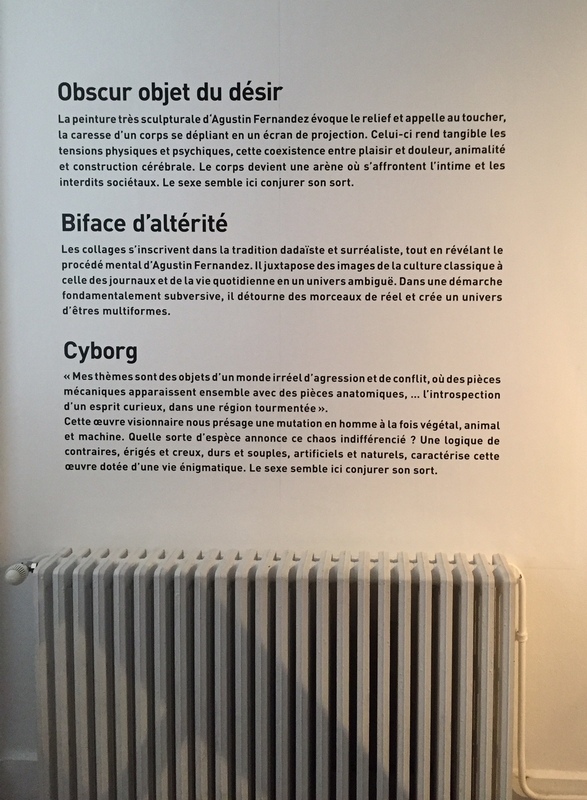 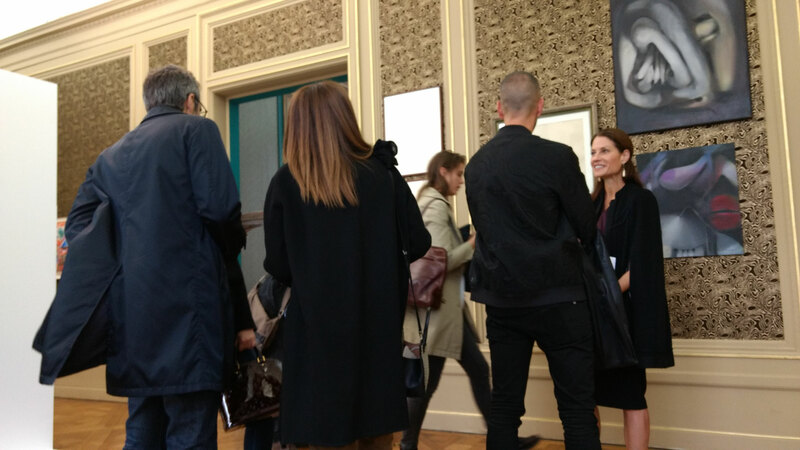 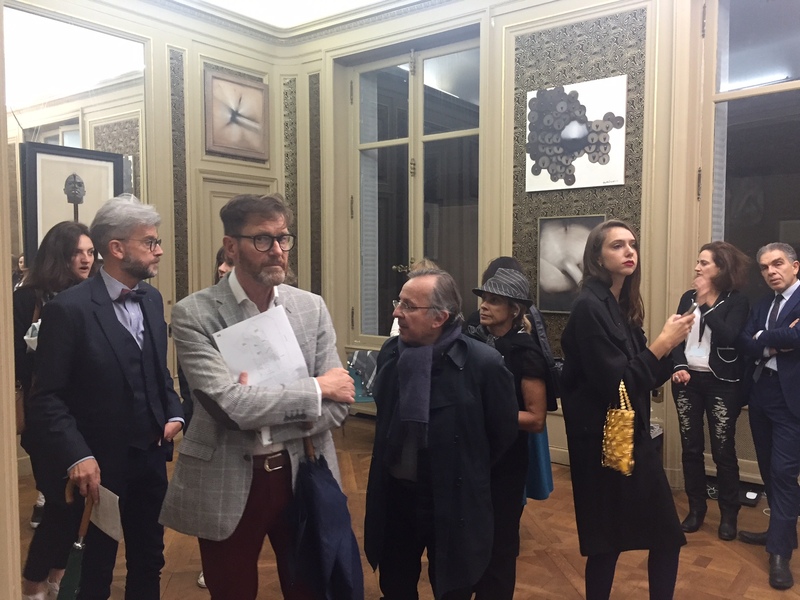 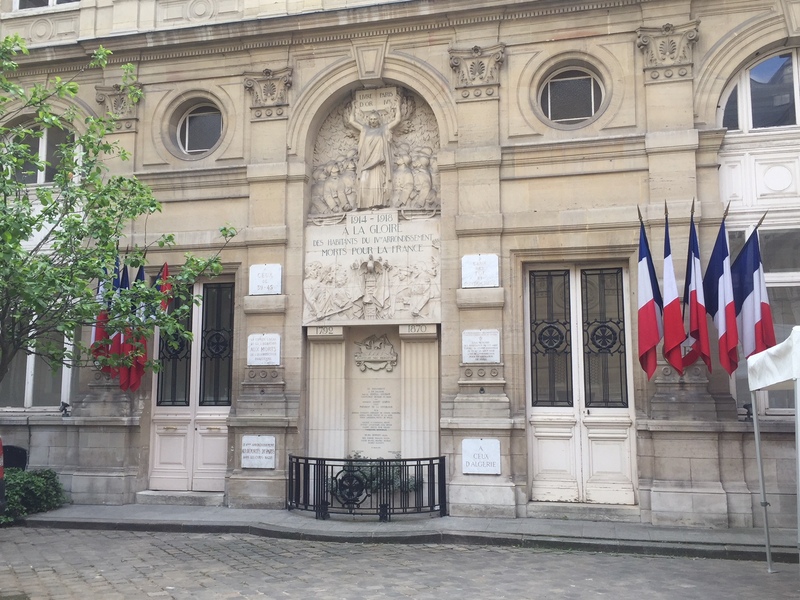 Dialogue between Jérôme Neutres (Director of Réunion des musées Nationaux-Grand Palais and Curator of Robert Mapplethorpe 2017 exhibition at the Grand Palais) and Jeanette Zwingenberger art historian and curator of Fernandez exhibition, Paradox of Pleasure. 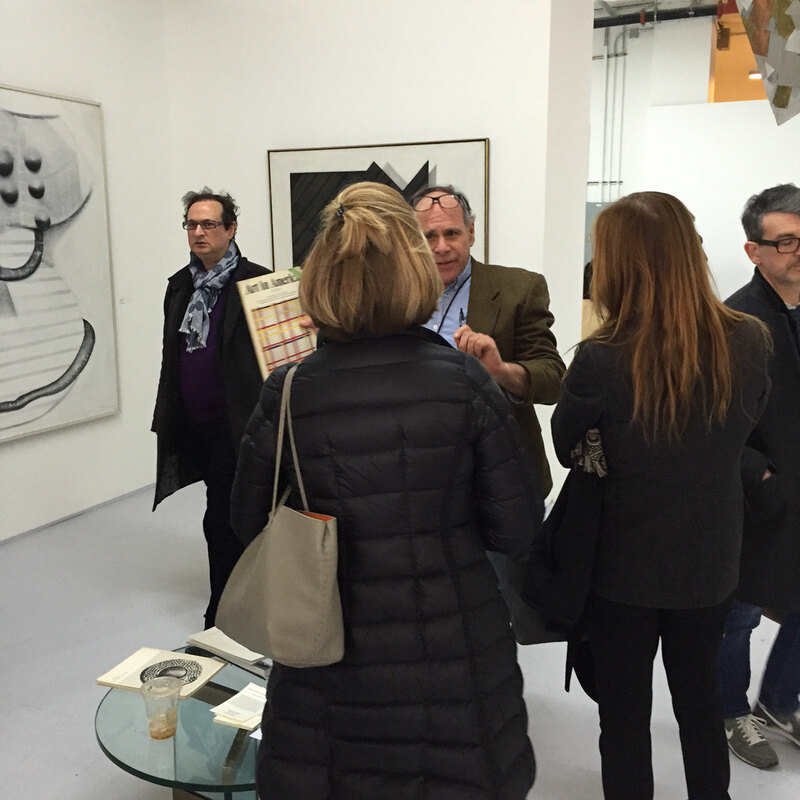 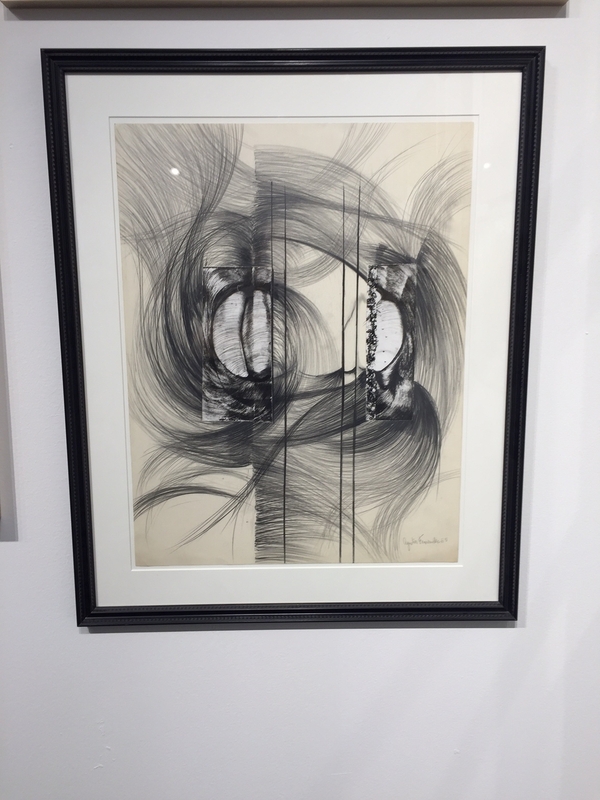 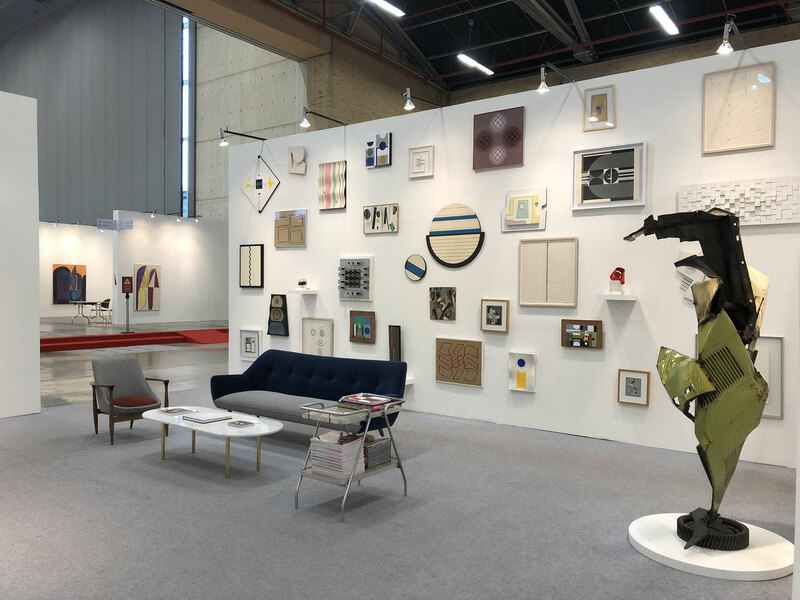 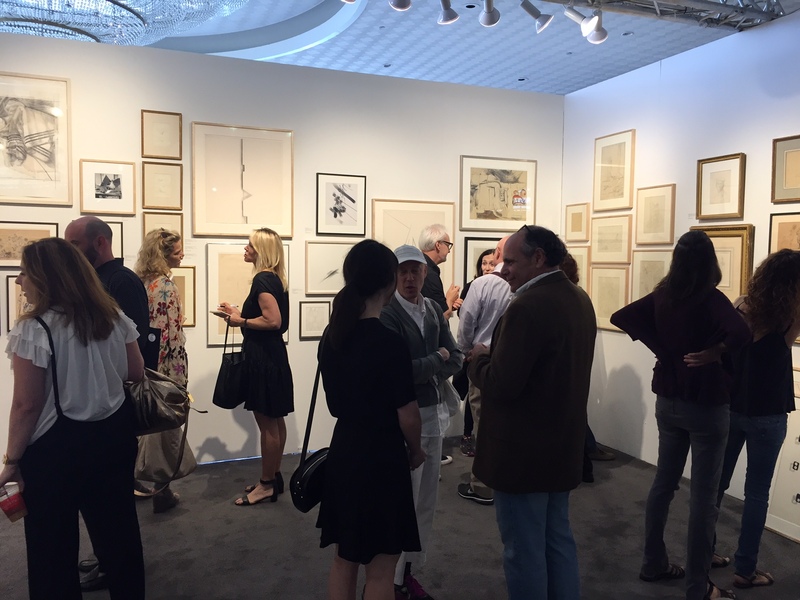 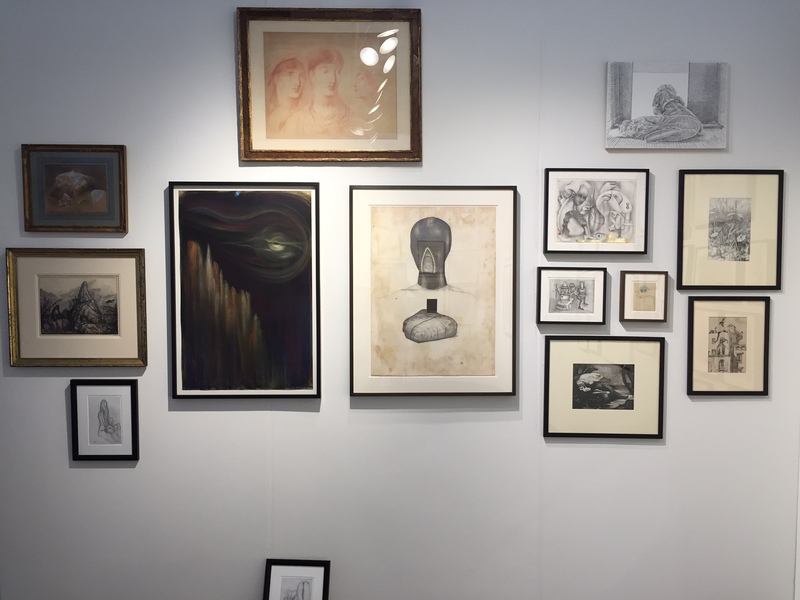 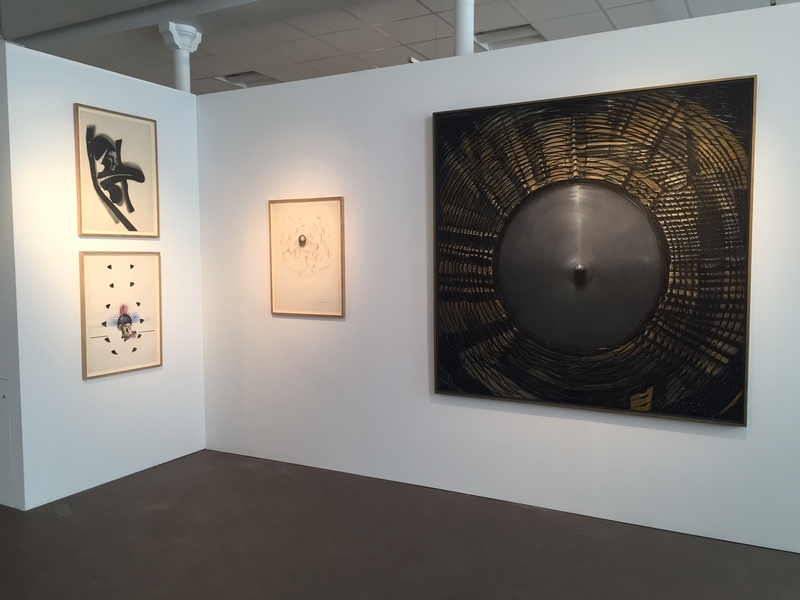 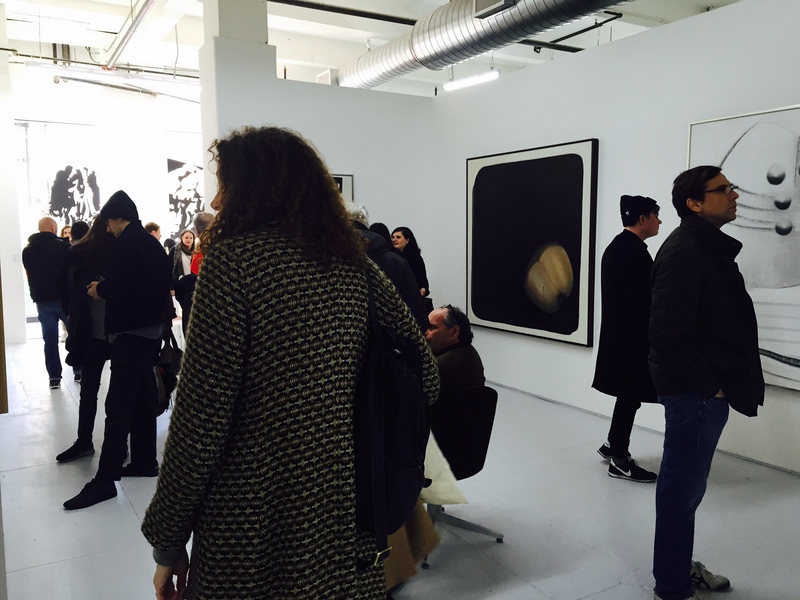 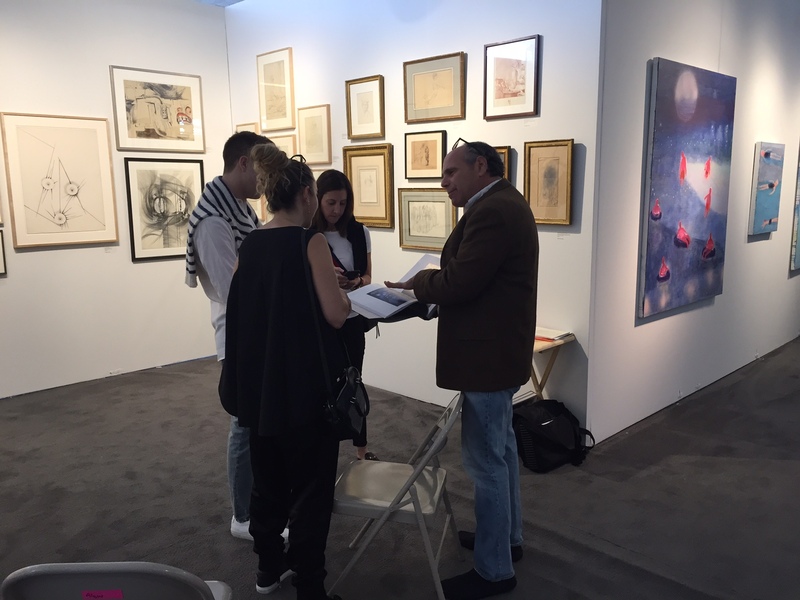 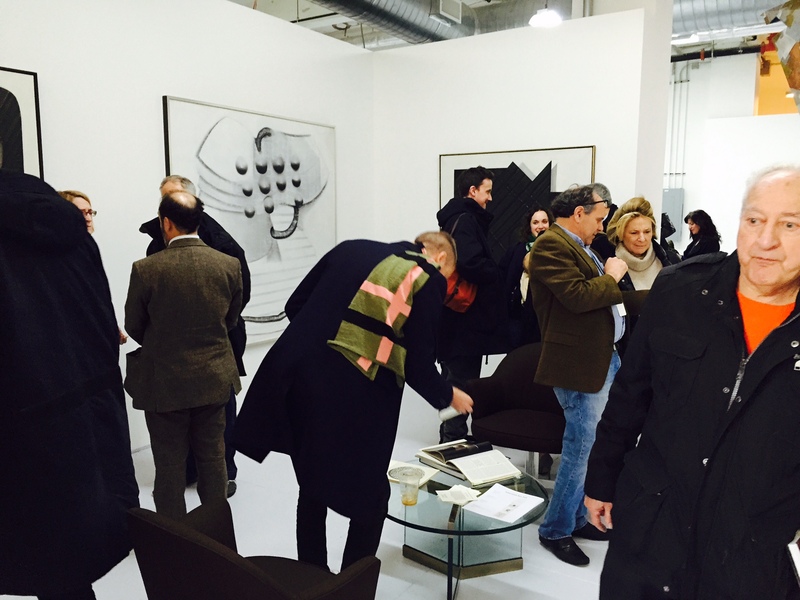 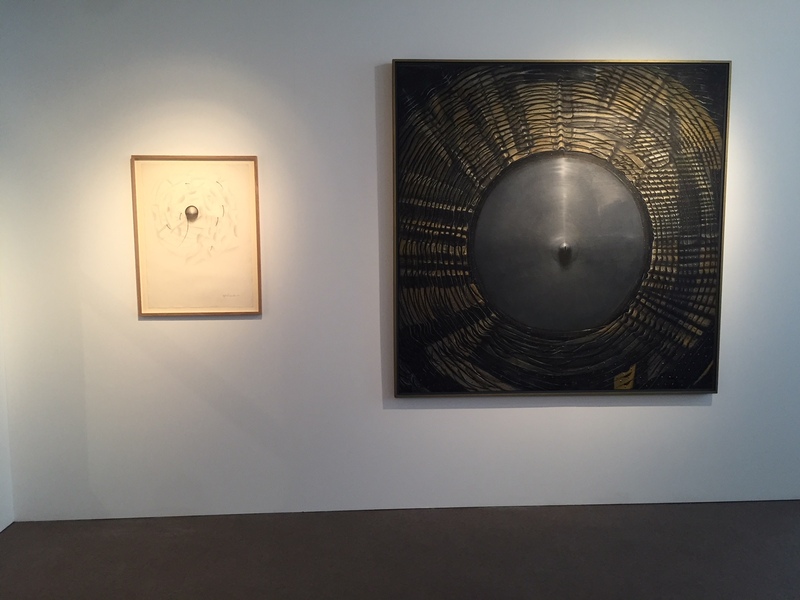 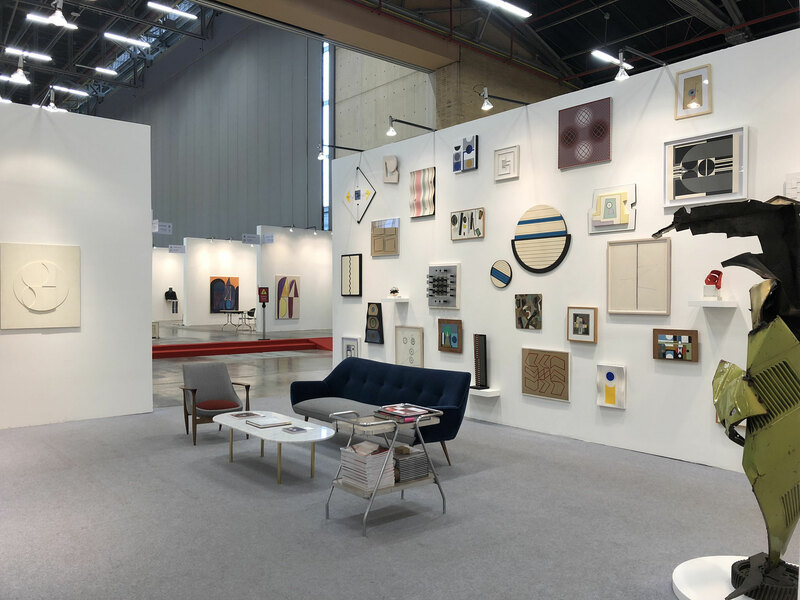 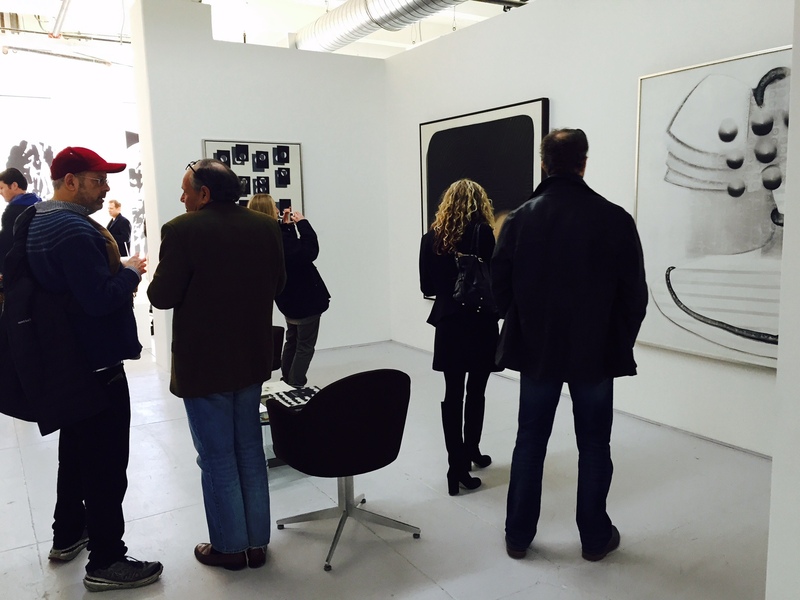 The Mitchell Algus Gallery presented paintings and work on paper by Fernandez at the Independent Art Fair in New York City on March 3-6 2016. 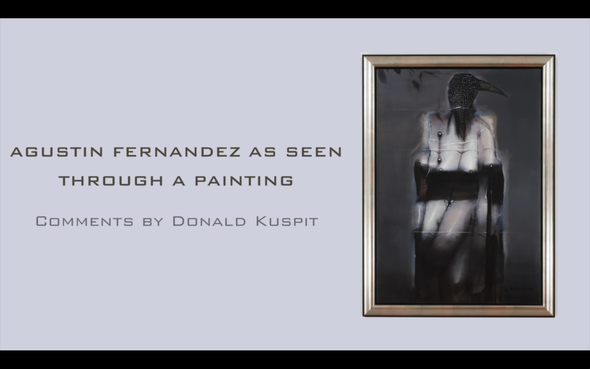 The Agustin Fernandez Foundation has just produced "Agustin Fernandez as Seen Through a Painting: Comments by Donald Kuspit." 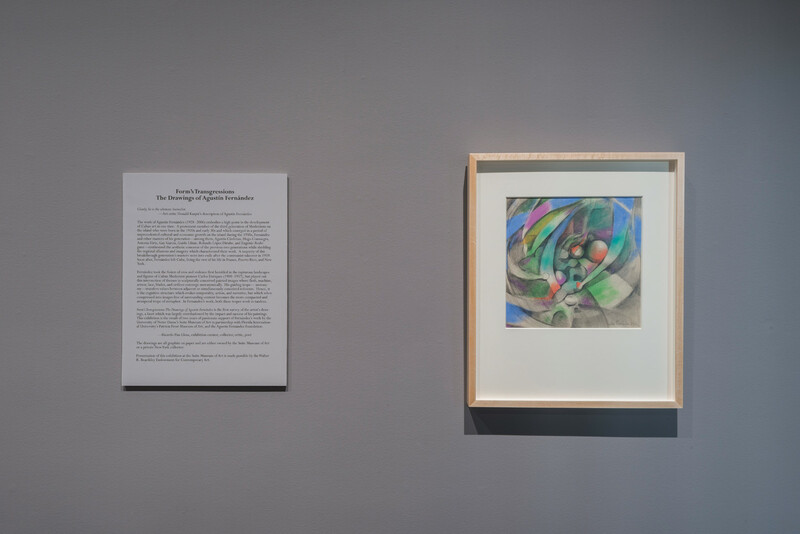 This video offers an analysis of one of Agustin Fernandez's paintings shown at the Katzen Art Center in the exhibit curated by Donald Kuspit, "Agustin Fernandez: Ultimate Surrealist." 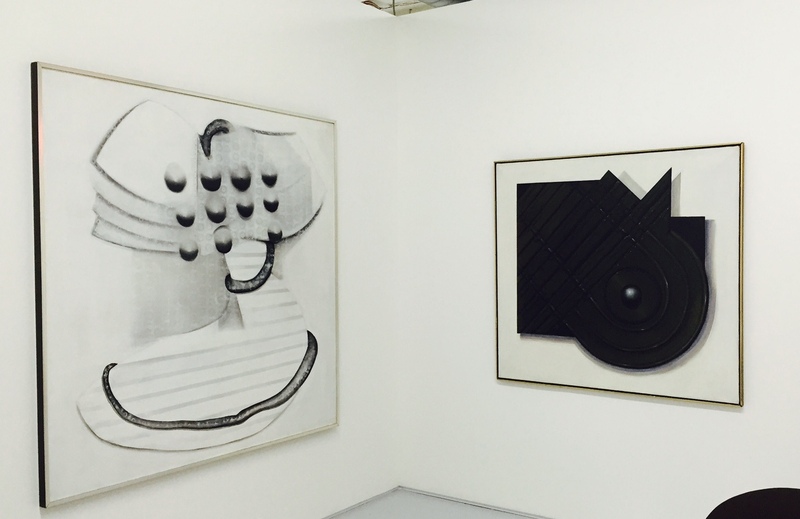 Agustin Fernandez, Paintings and works on Paper. 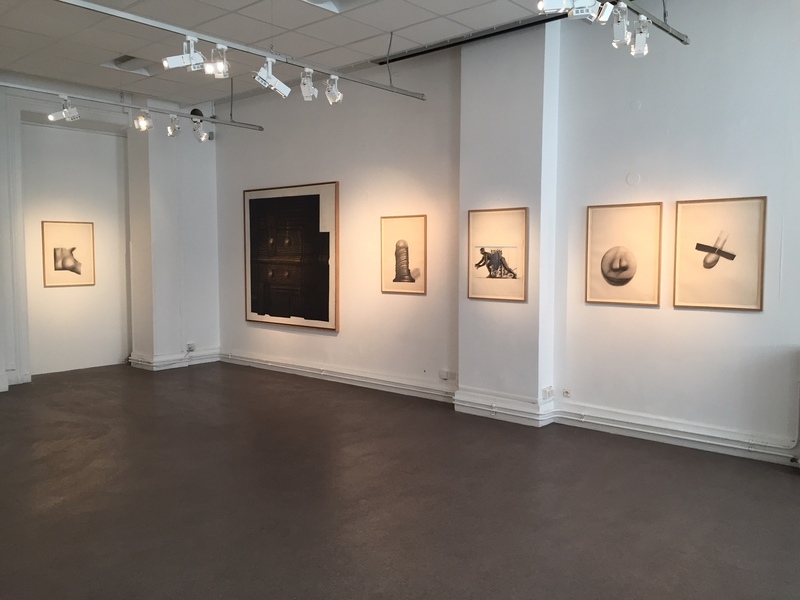 The show is scheduled to open on January 25, 2015 (reception from 6 to 8 pm) and will be viewable until March 8. 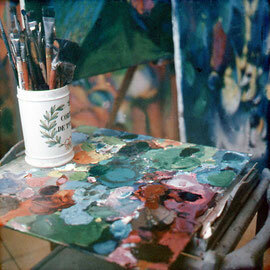 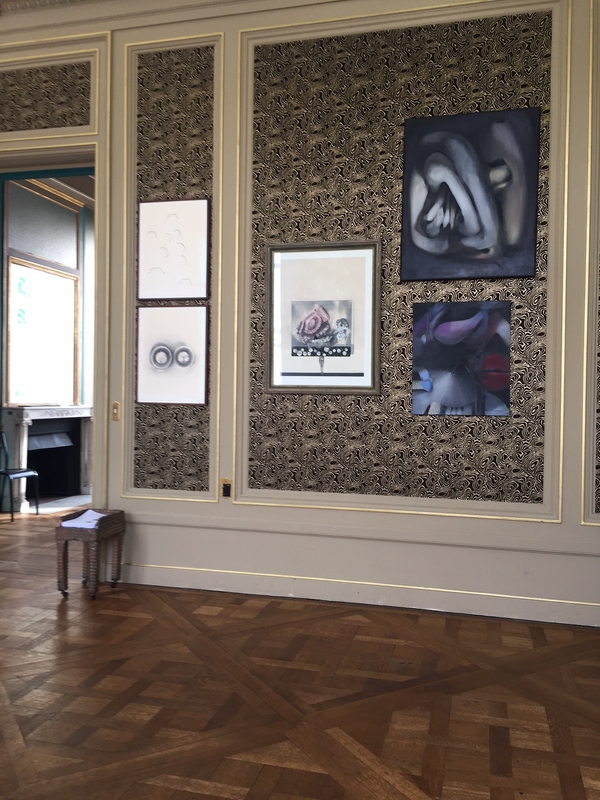 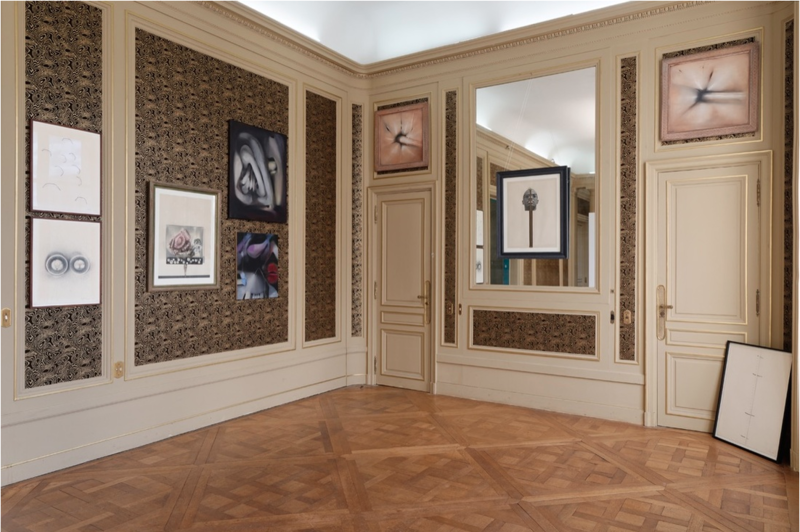 It will feature paintings from various periods in the artist's career as well as a selection of drawings. 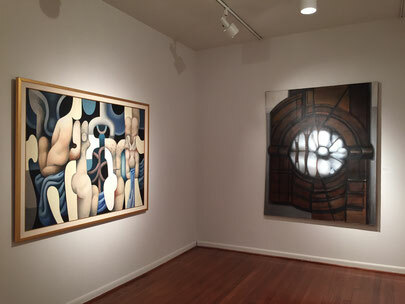 TimeOut NY critics have selected this exhibit as one of the top 5 shows to see in NYC. 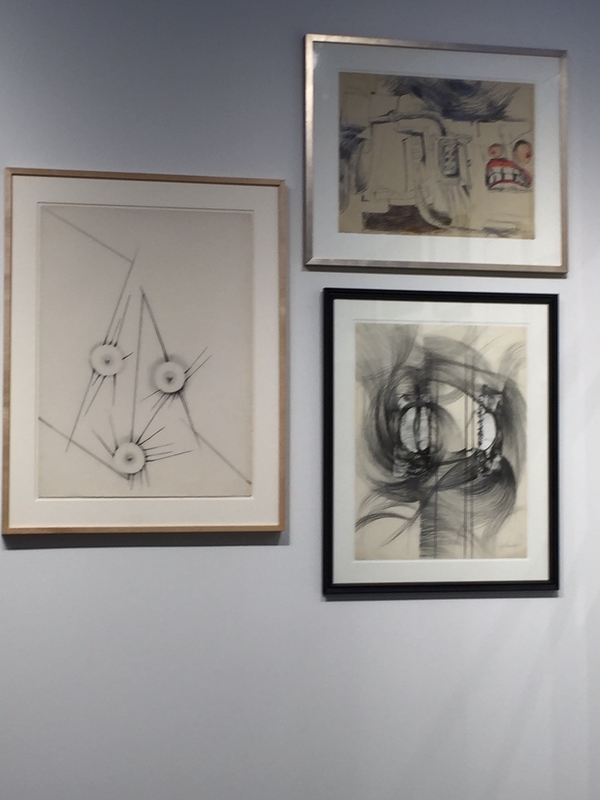 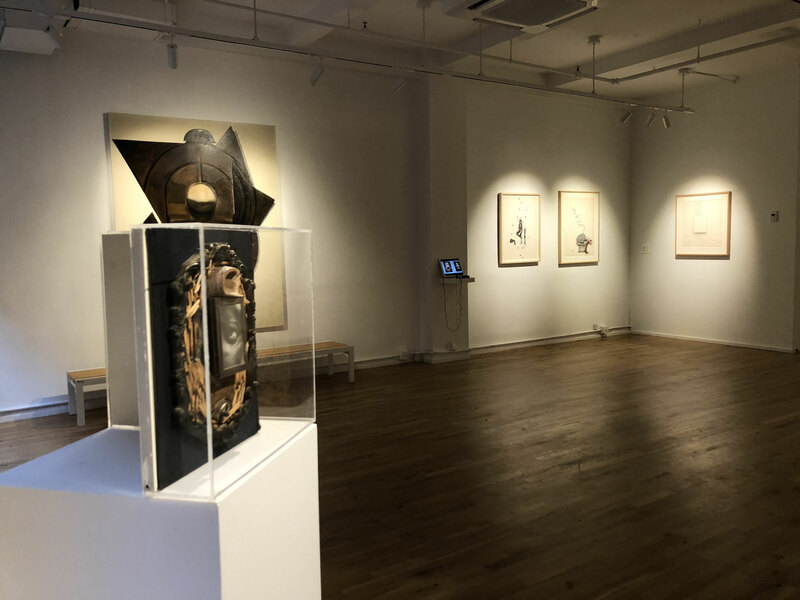 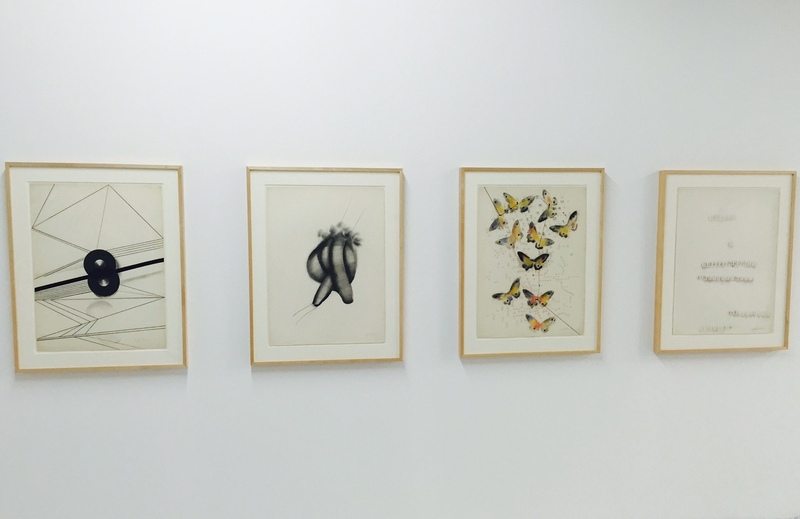 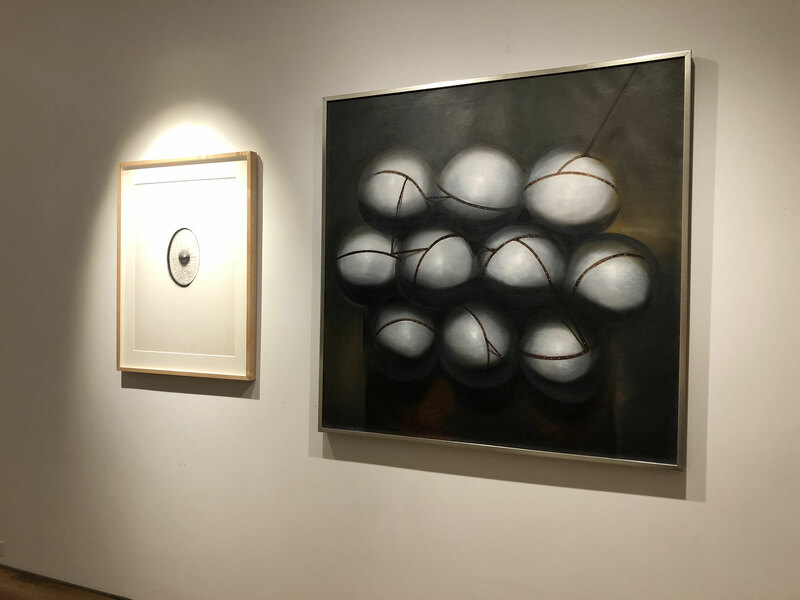 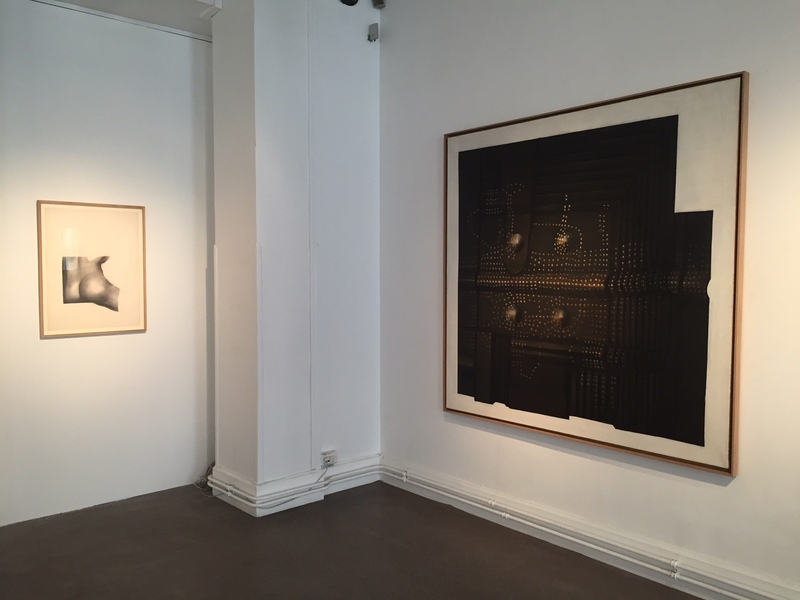 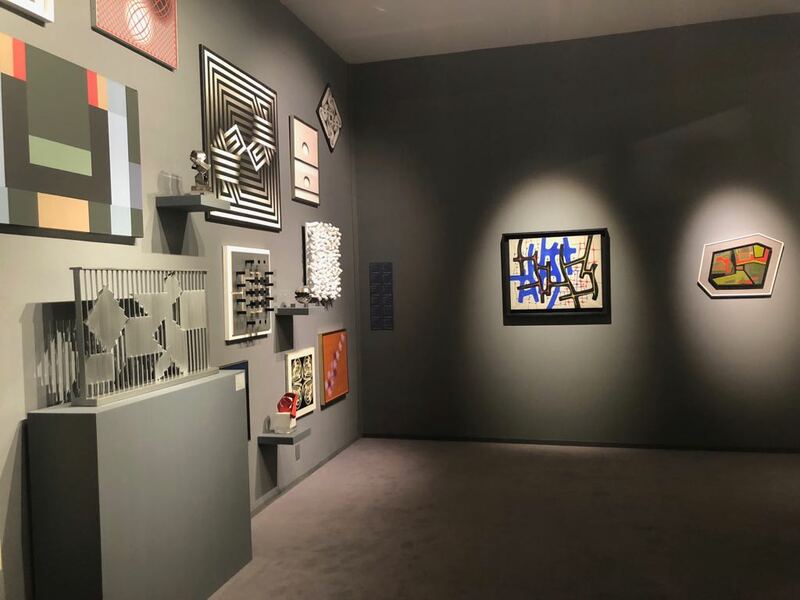 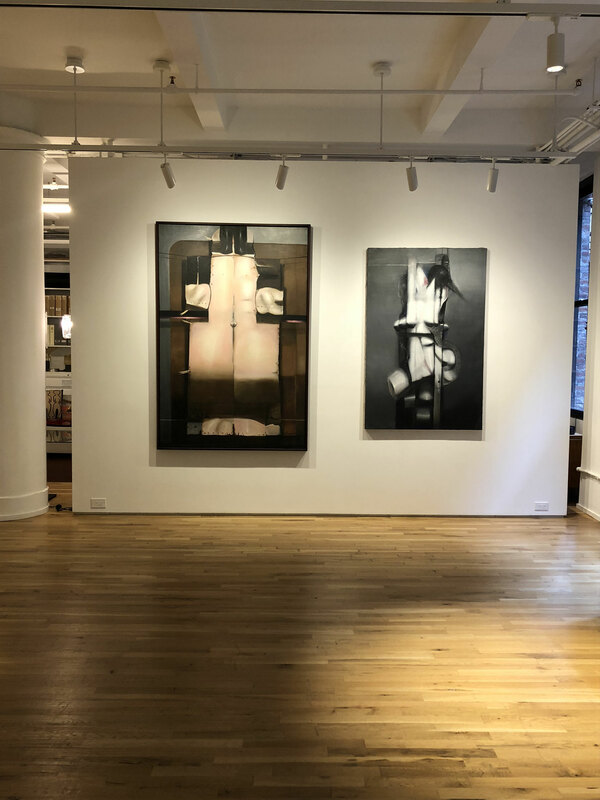 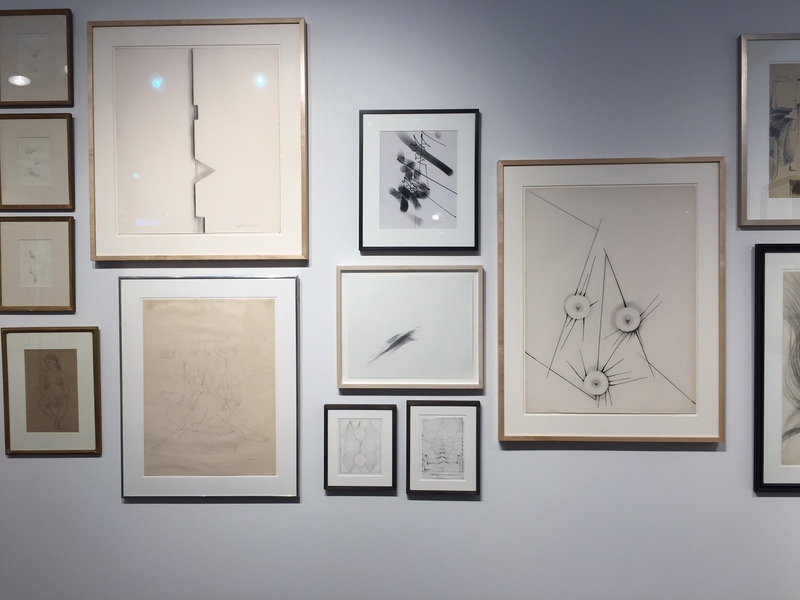 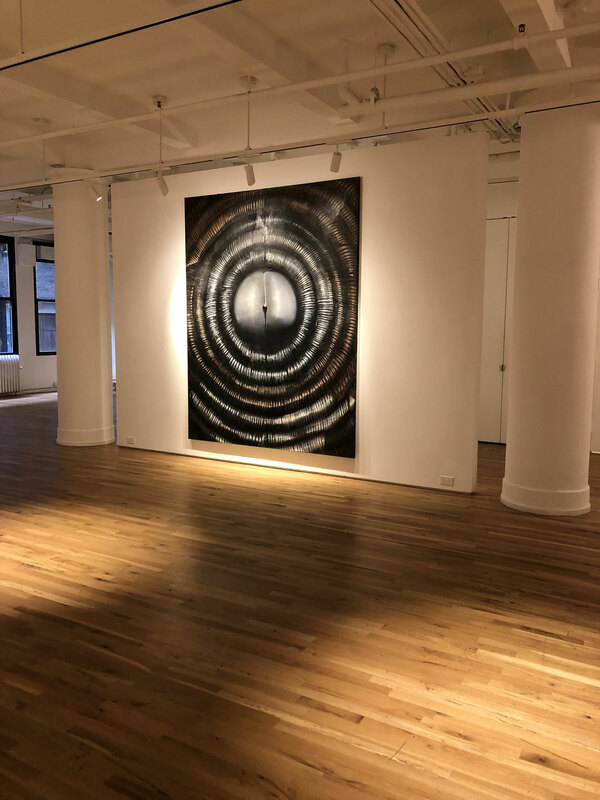 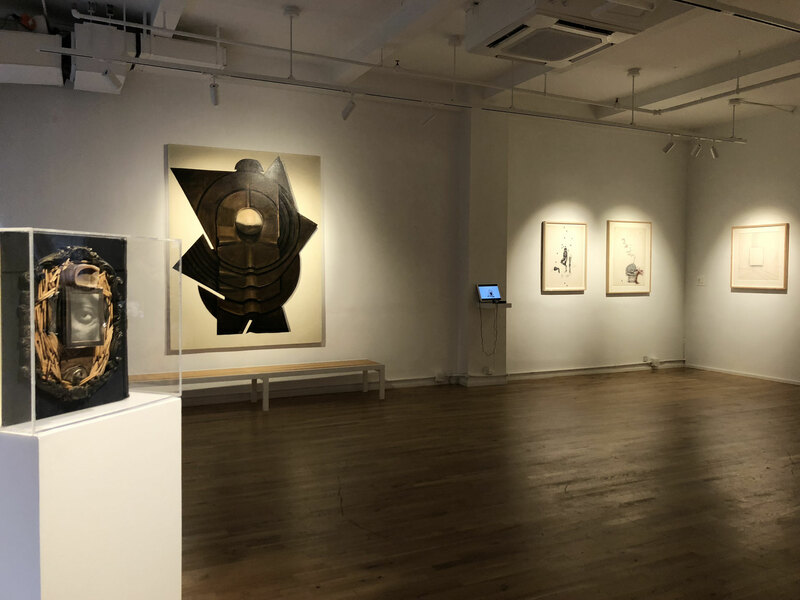 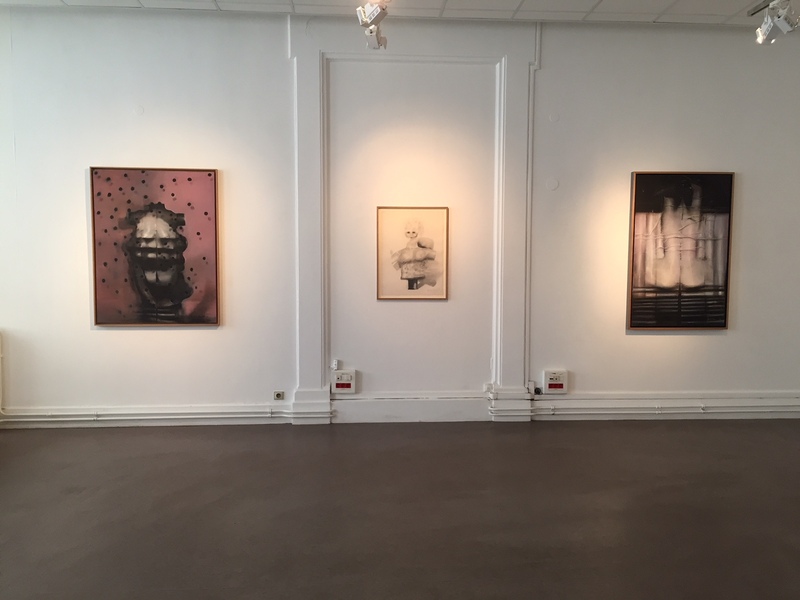 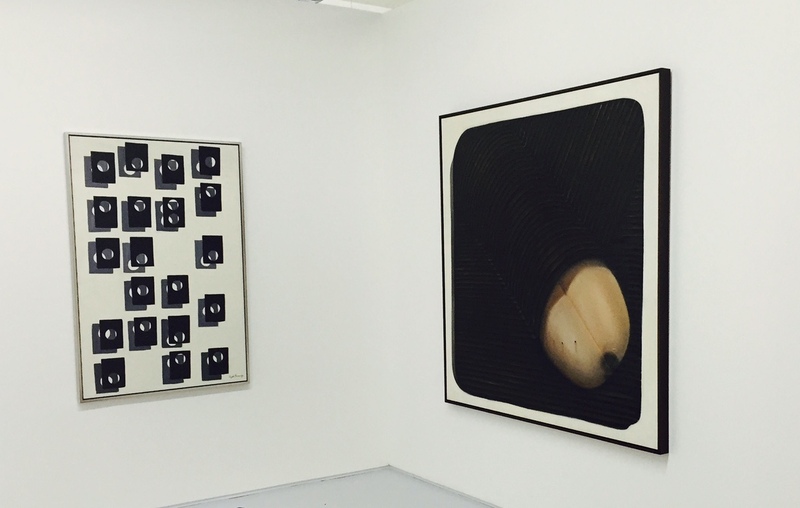 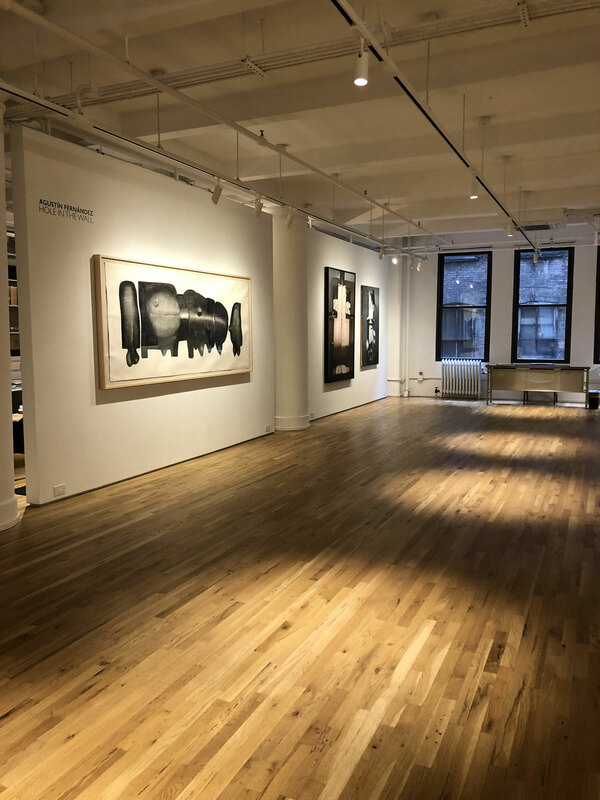 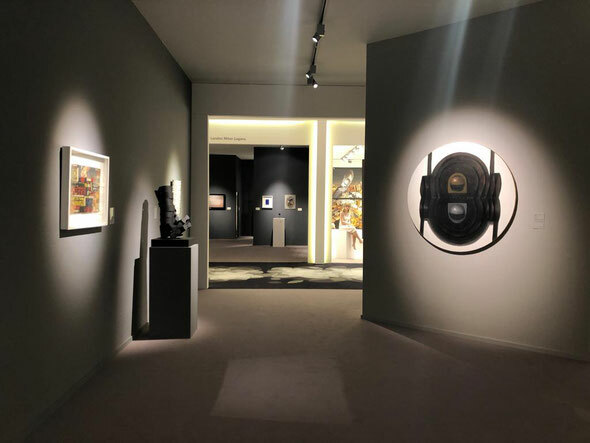 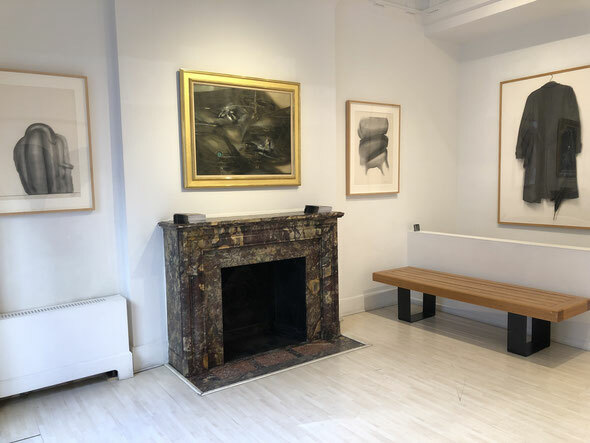 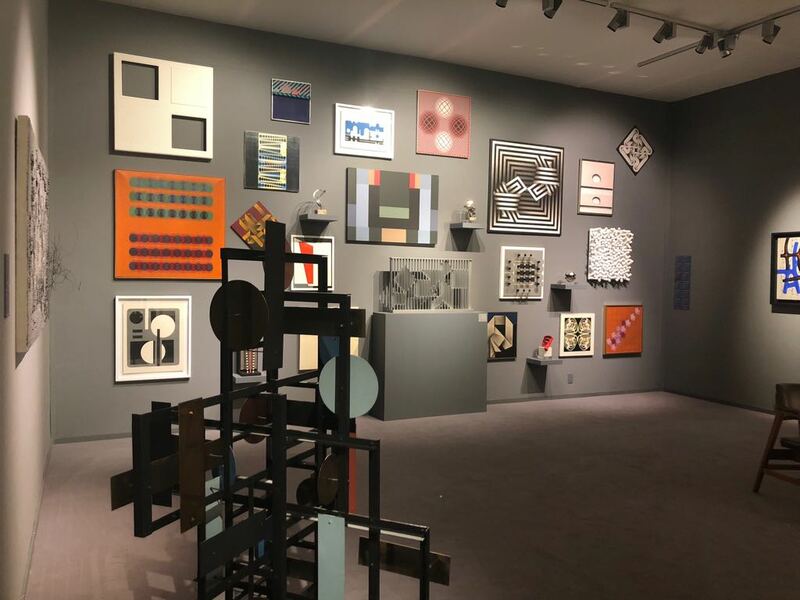 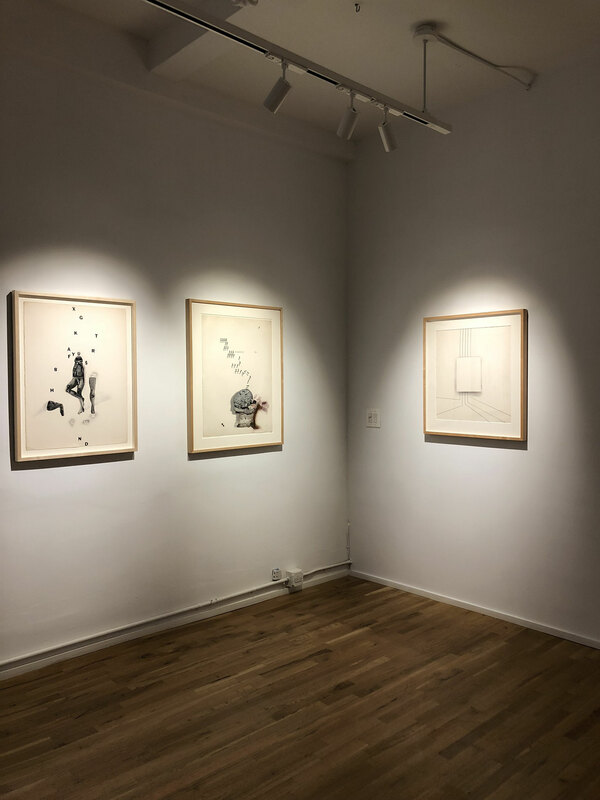 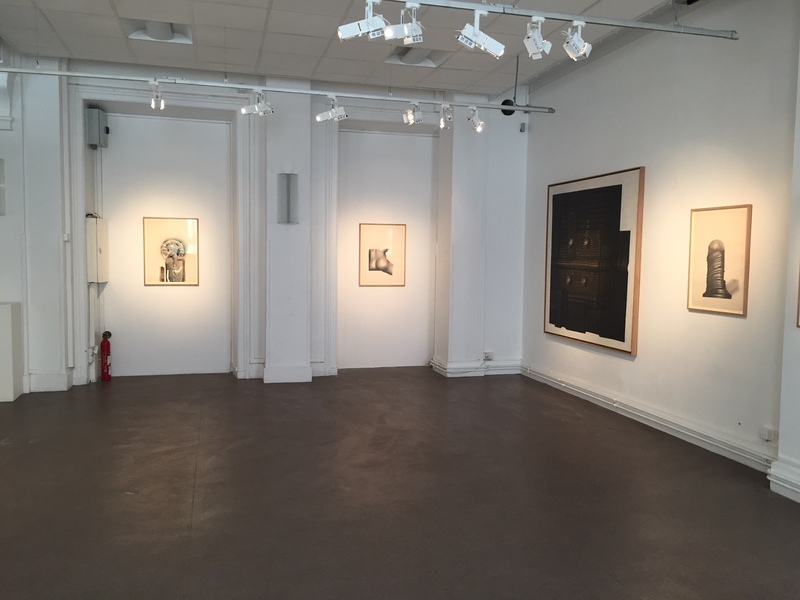 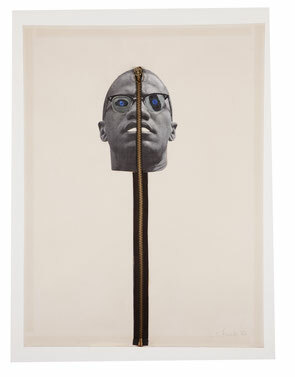 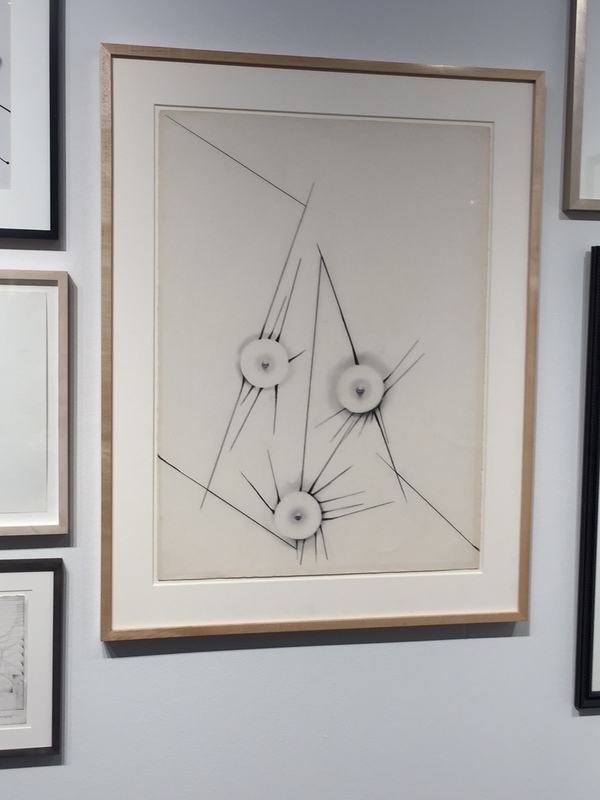 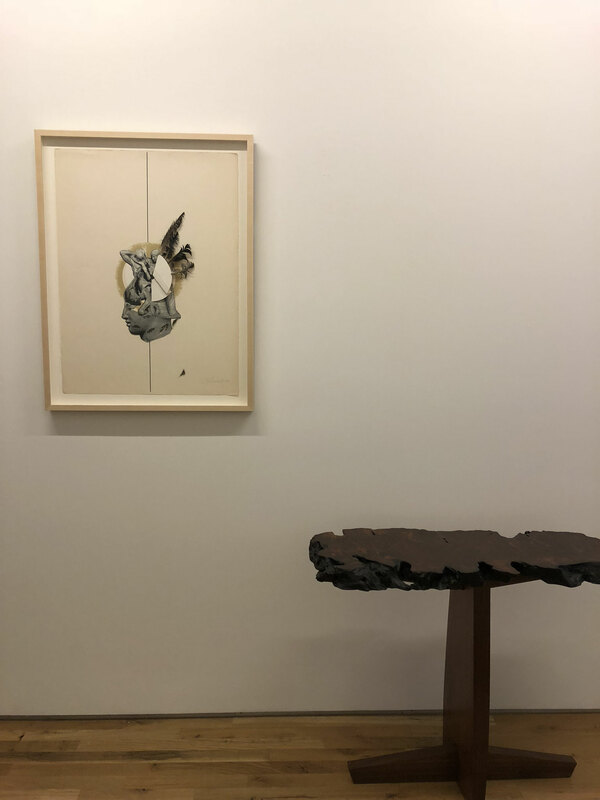 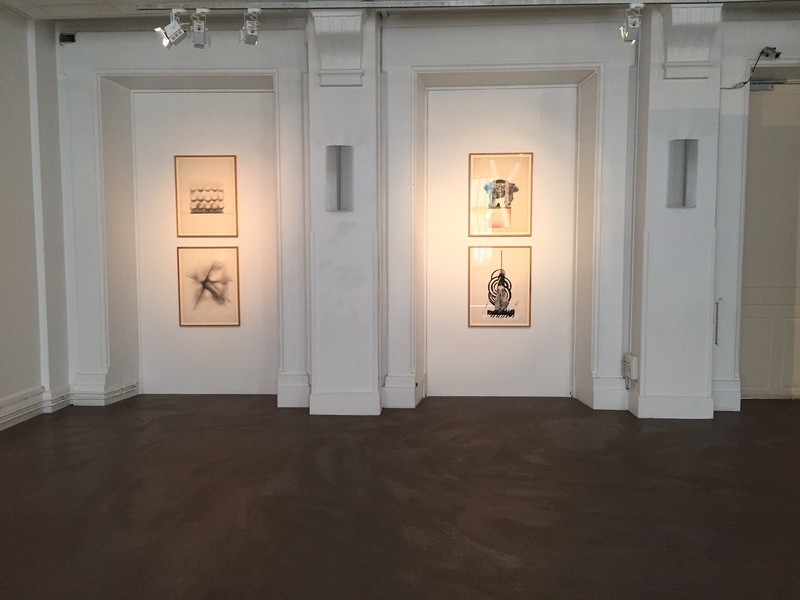 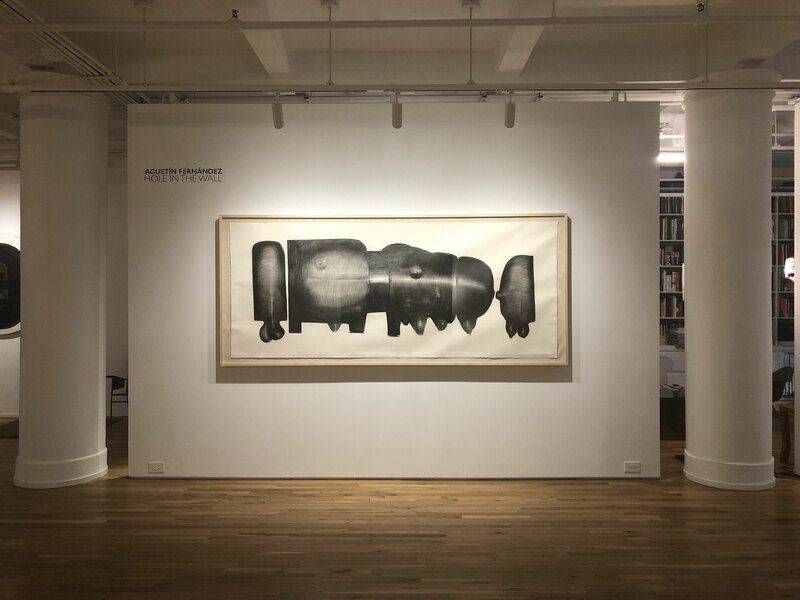 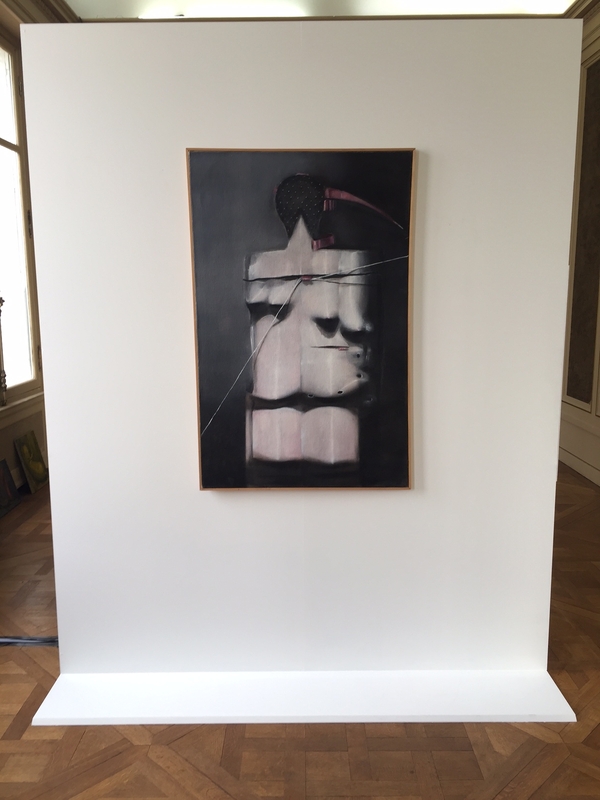 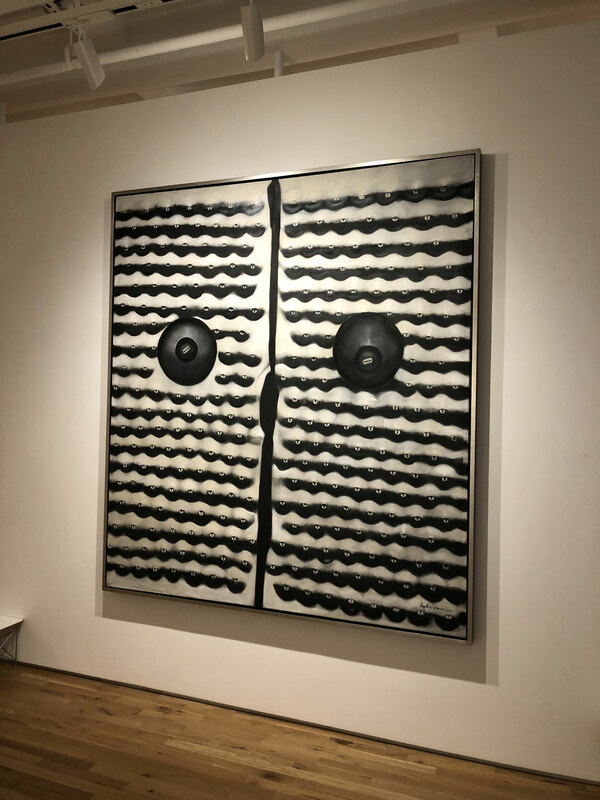 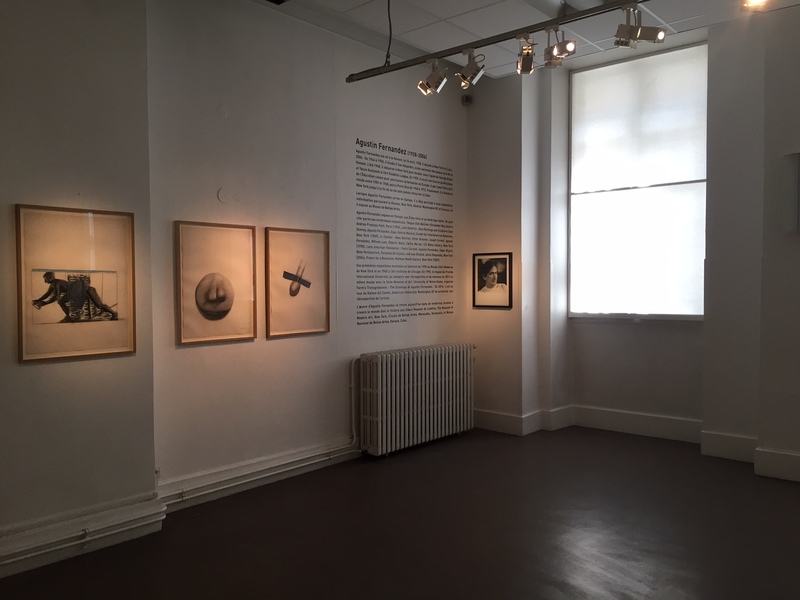 Agustin Fernandez: Ultimate Surrealist, an exhibition curated by Donald Kuspit, featuring close to 50 works produced by Fernandez throughout his career. 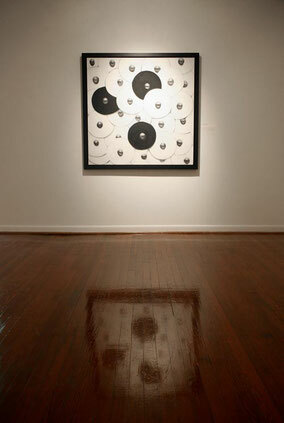 The show will take place at The American University Museum, Katzen Arts Center in Washington DC. 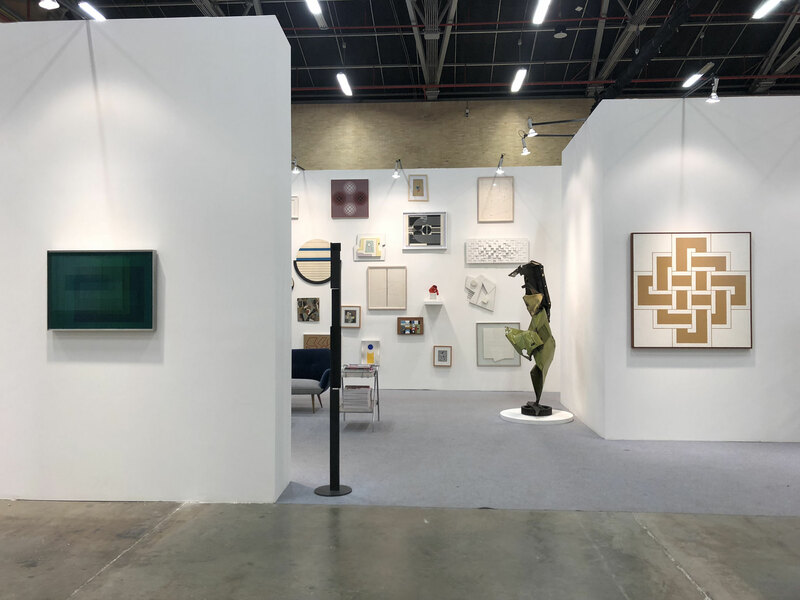 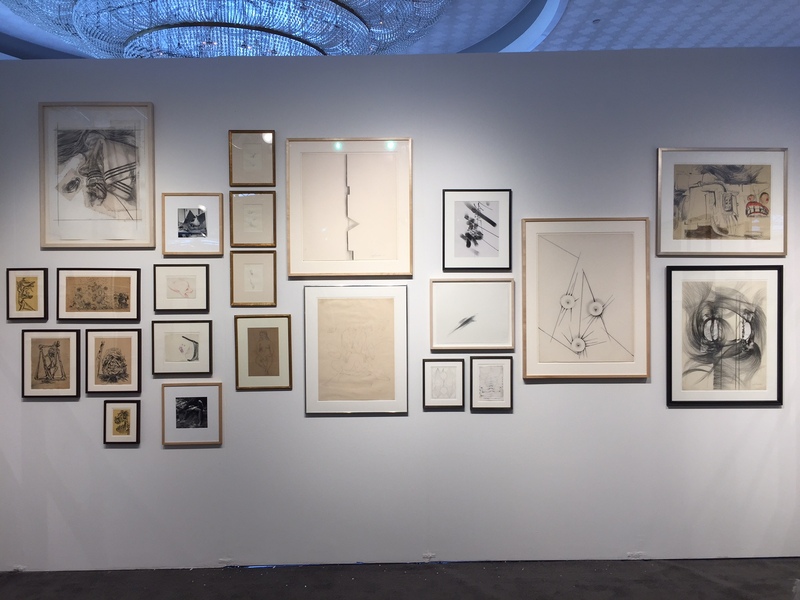 Major sponsorship for this exhibition was provided by the international platform G-Global, as well as by Joseph Hage Aaronson LLC. 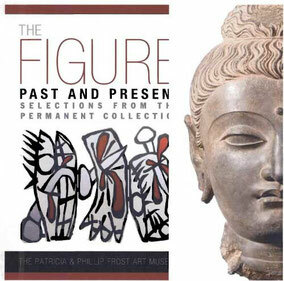 We are very pleased with the monograph, which, to date, is the most comprehensive exploration into the artist's career. 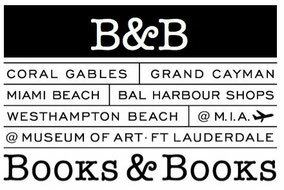 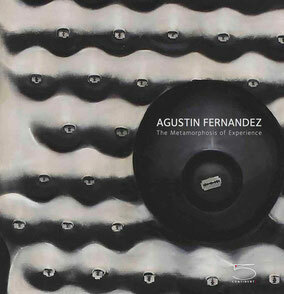 Both beautiful and substantive, the book is indispensable to any Fernandez collector, scholar, or fan. 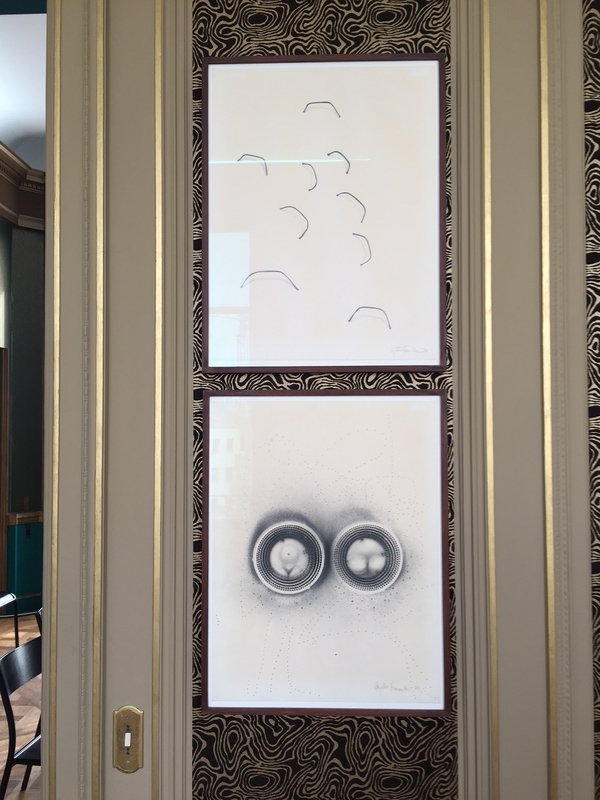 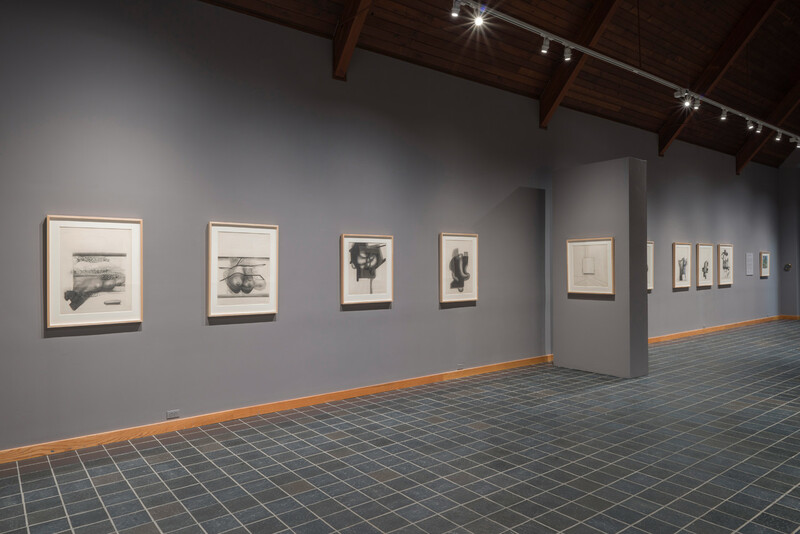 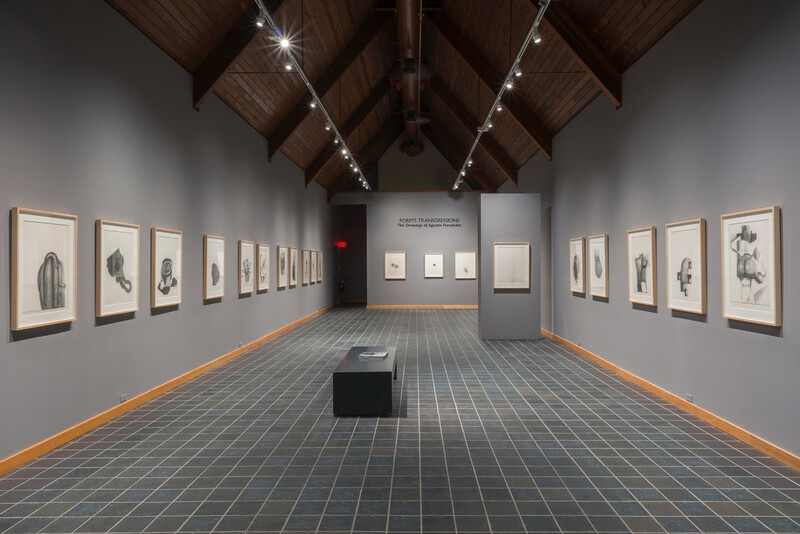 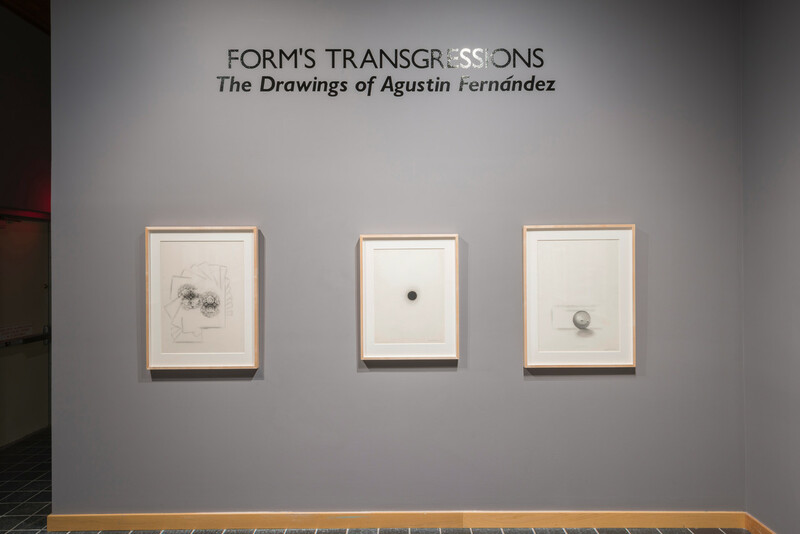 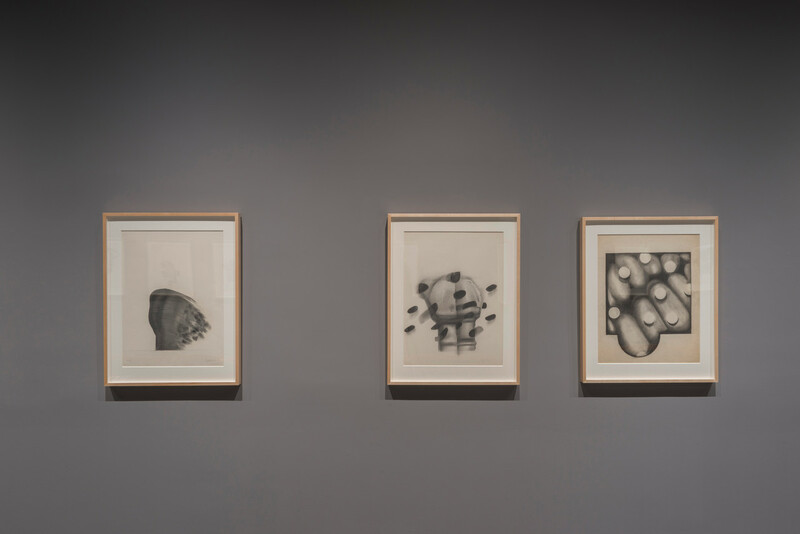 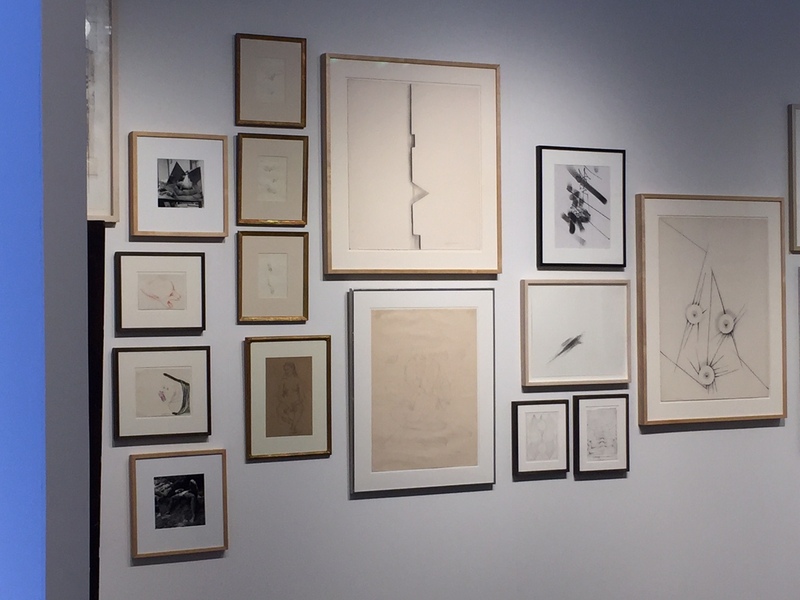 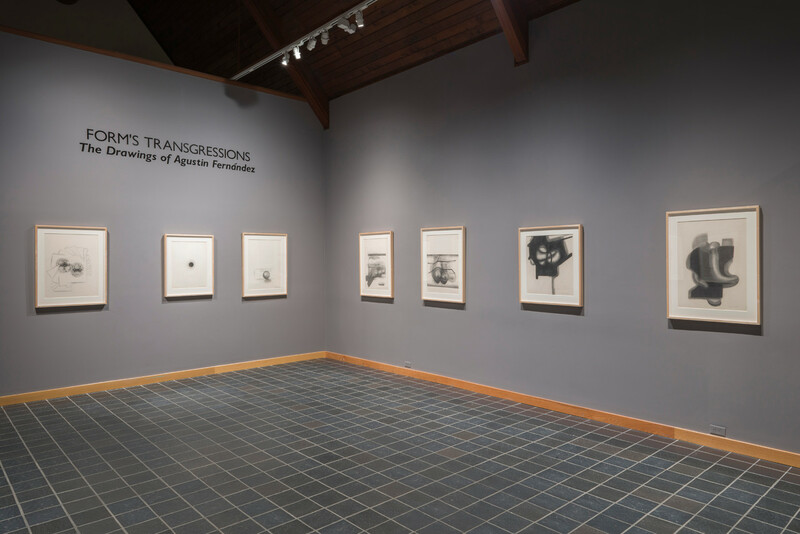 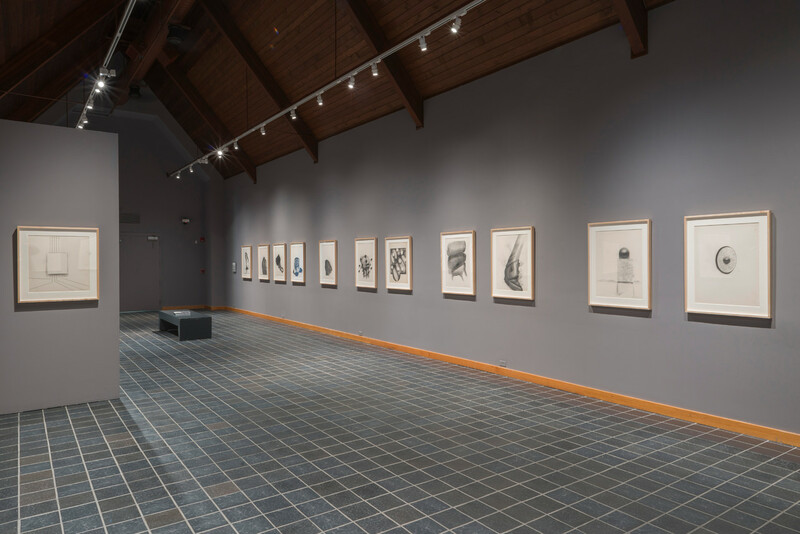 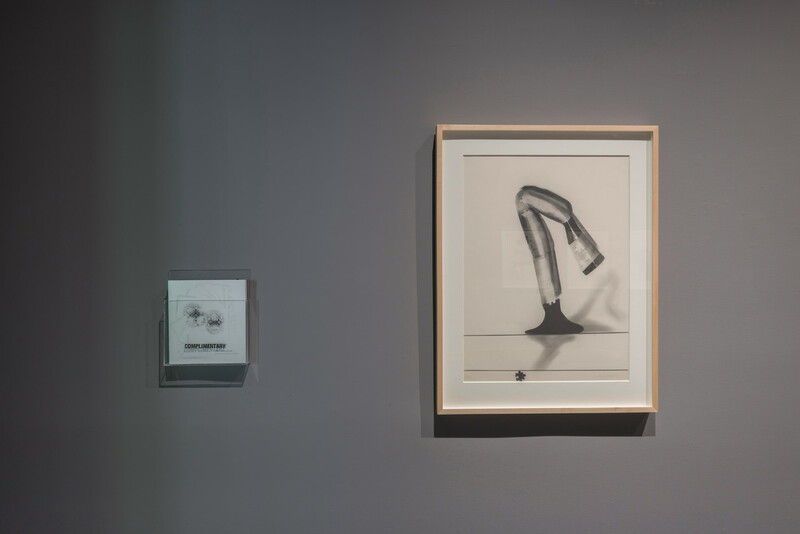 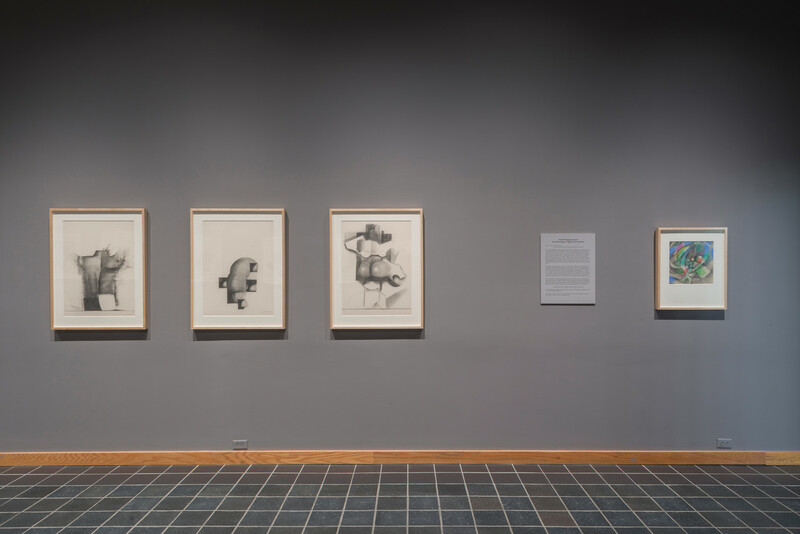 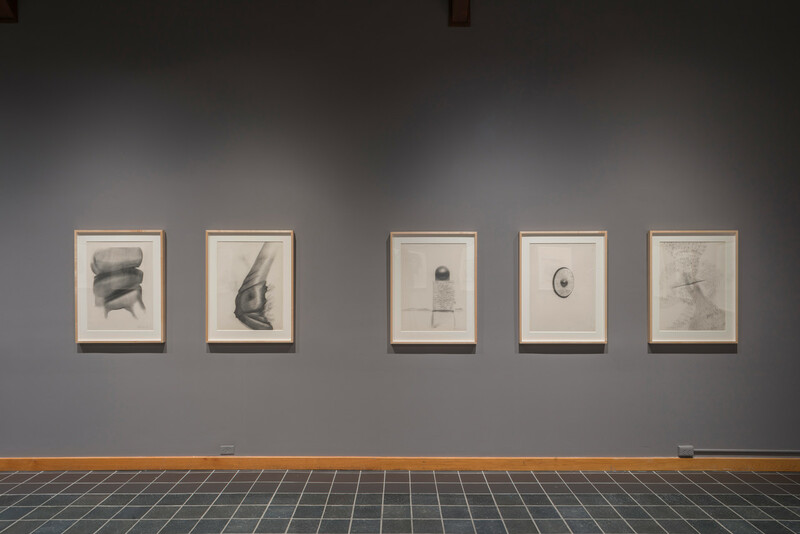 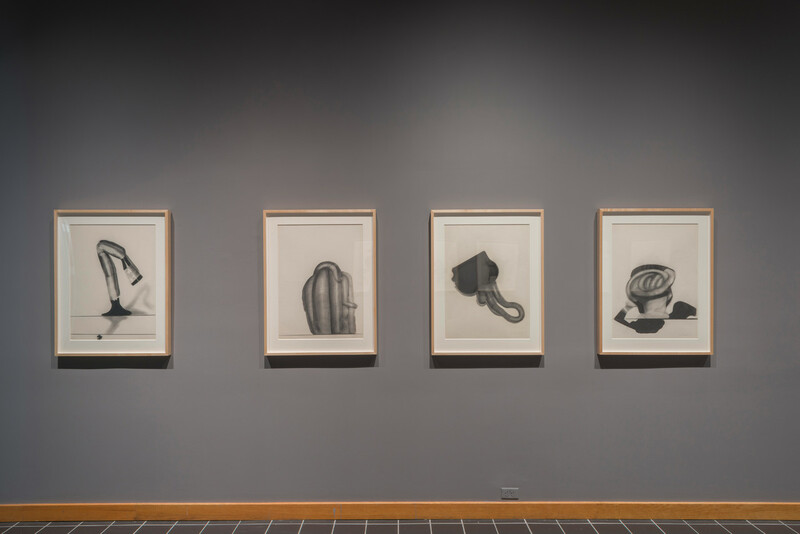 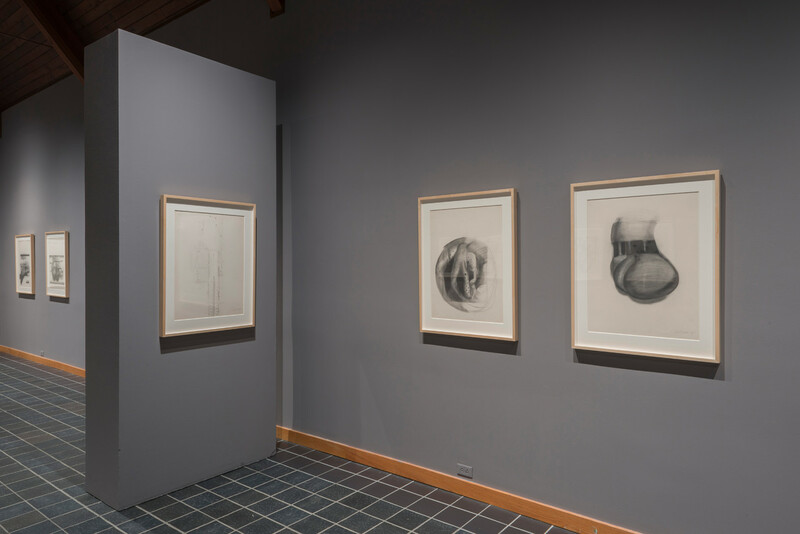 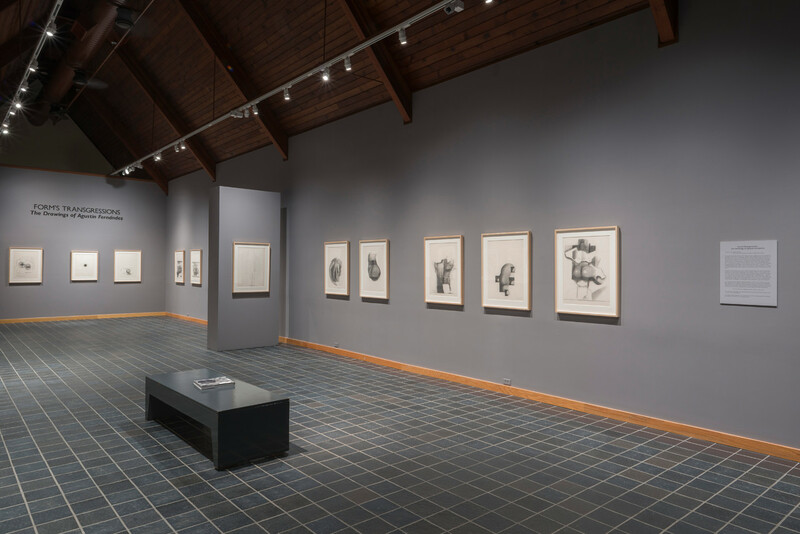 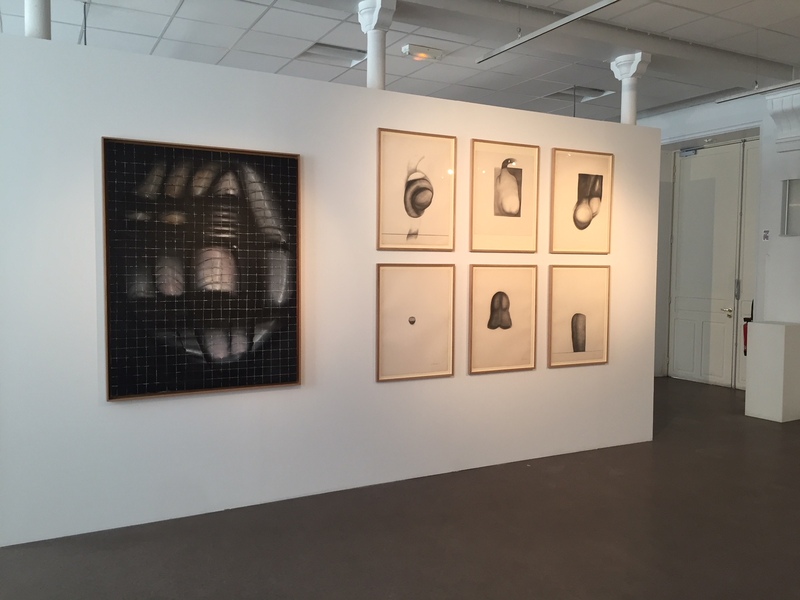 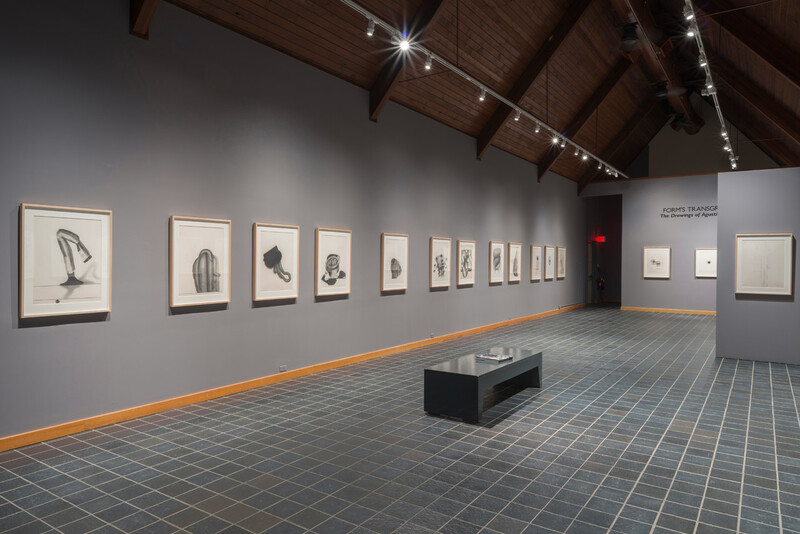 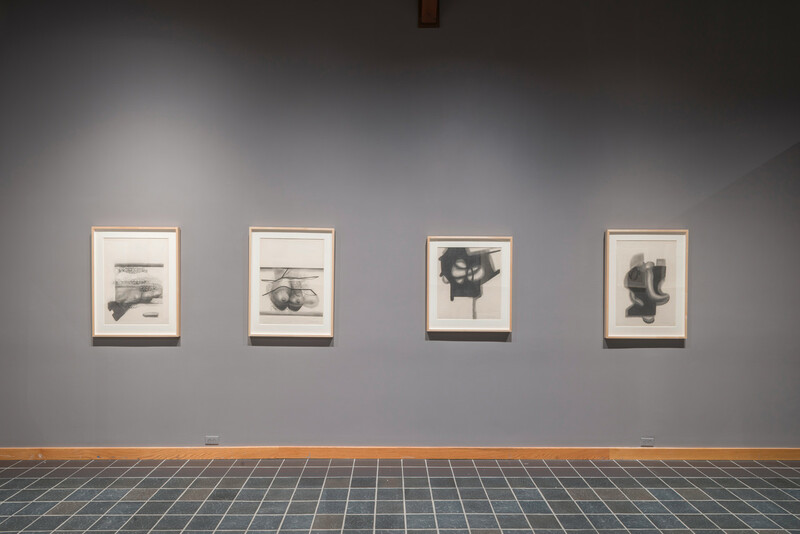 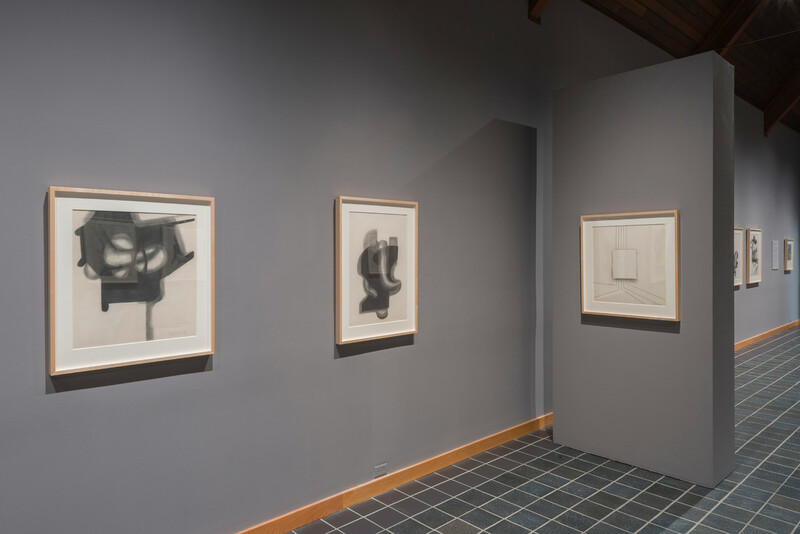 "Form's Transgressions: The Drawings of Agustin Fernandez"
on June 9 at the Snite Museum of Art, University of Notre Dame. 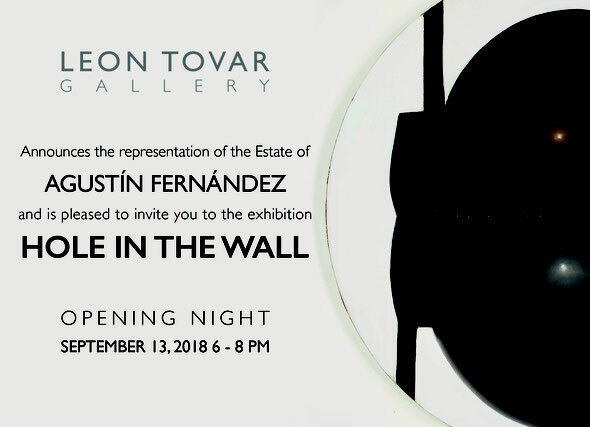 Also, on August 29, 2013 the museum will host a closing reception from 4:00-7:00 pm that will include a talk by exhibition guest curator, Ricardo Pau-Llosa. 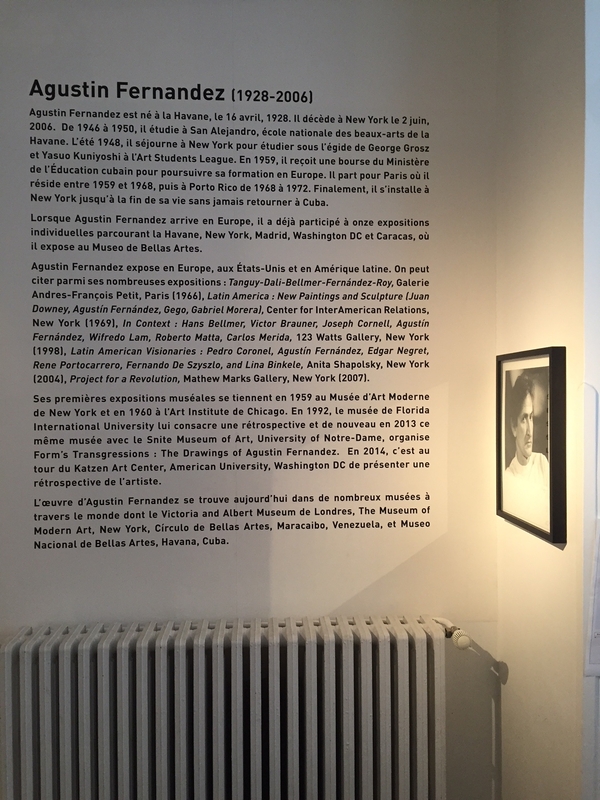 Please join us for a presentation, in the company of the children of the artist, of Agustín Fernández: The Metamorphosis of Experience. 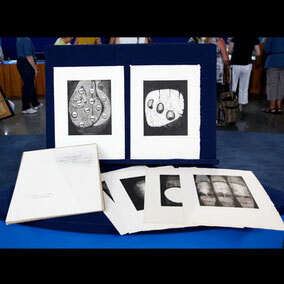 This exhibtion will also be on view at The Snite Museum of the University of Notre Dame from June 9 to Septmber 1, 2013. 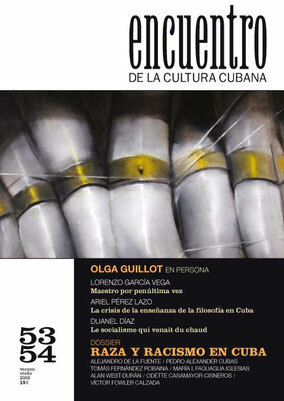 To order exhibtion catalogue with essay by curator Ricardo Pau-Llosa, please contact us. 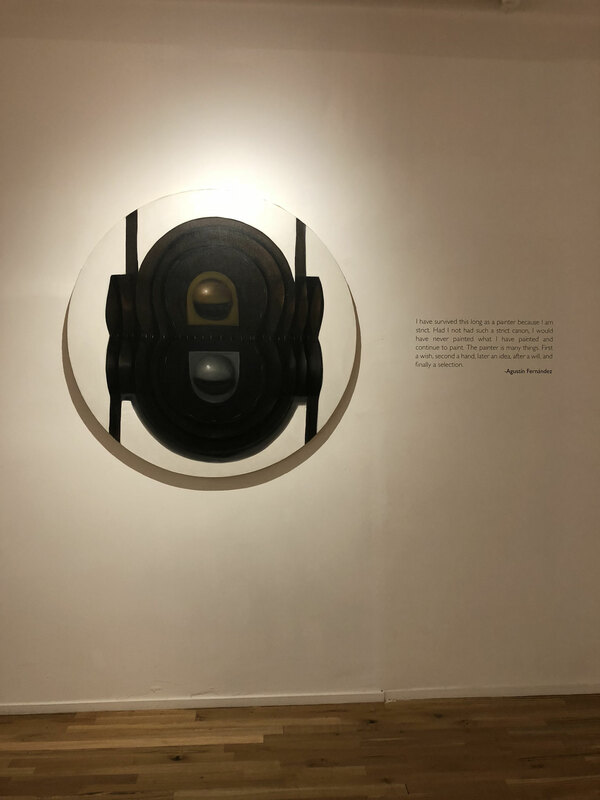 A work by Agustin Fernandez has been chosen for the exhibition, “Constellations”, curated by Abigail McEwen at the Art Museum of the Americas in Washington DC. 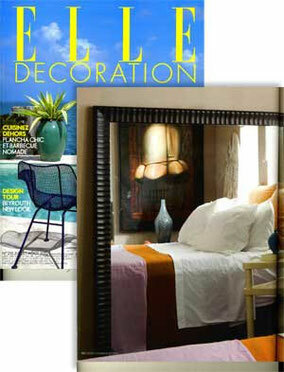 See an image of a beautiful Fernandez work in an article about the home of Miami-based collector Kent Karlock. 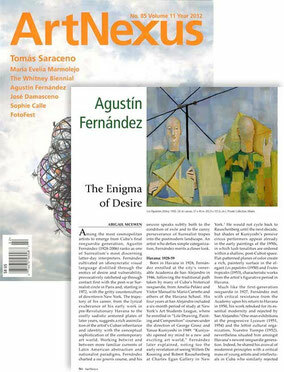 This issue ArtNexus features and excellent article about Agustin Fernandez written by Abigail McEwen. 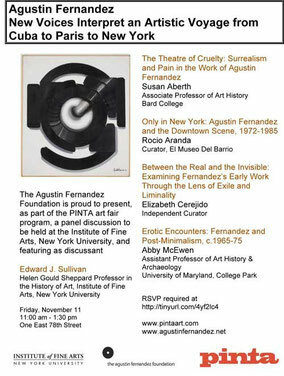 A panel discussion on the work The Agustin Fernandez Foundation to be held as part of PINTA Art fair program in collaboration with the Institute of Fine Arts, New York University and featuring Edward J. Sullivan as discussant. 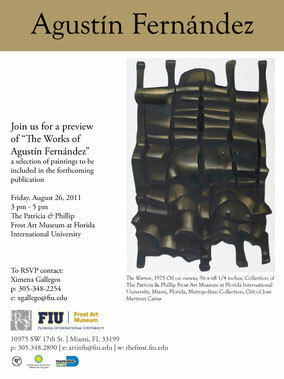 The Frost Art Museum, Miami hosts a preview of works by Fernandez photographed at the museum for a forthcoming monograph about the artist. 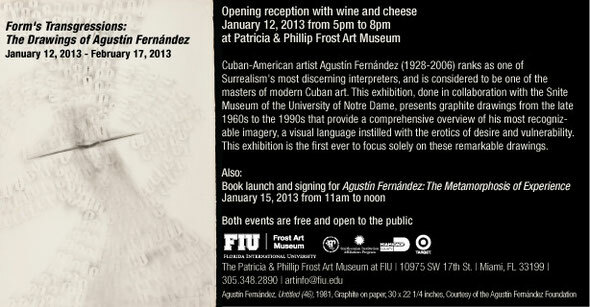 Important Fernandez work on view at The Frost Art Museum, Miami. 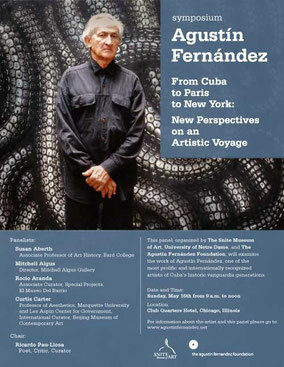 Panel presentation about the work of Fernandez in Chicago. 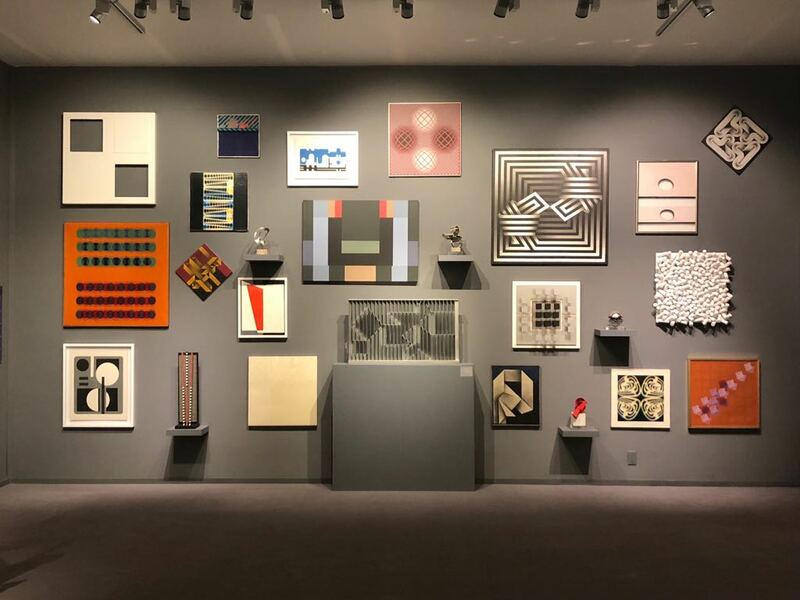 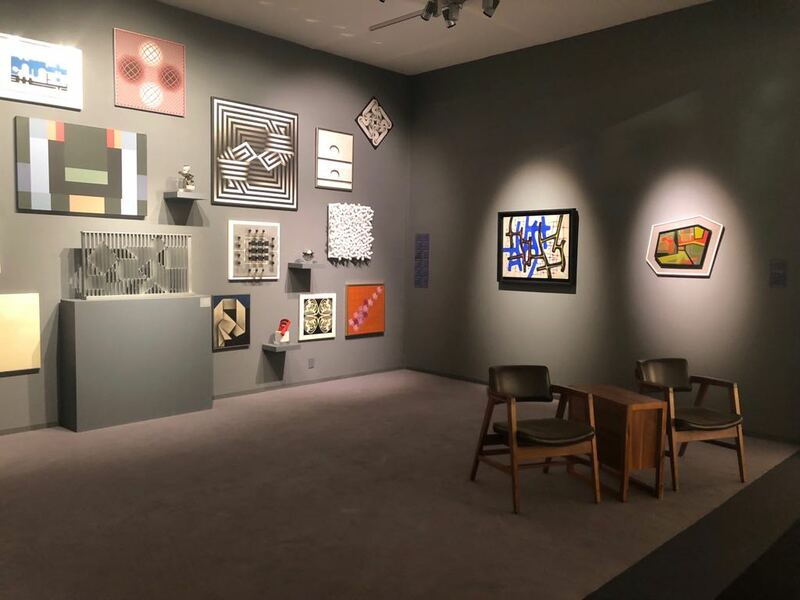 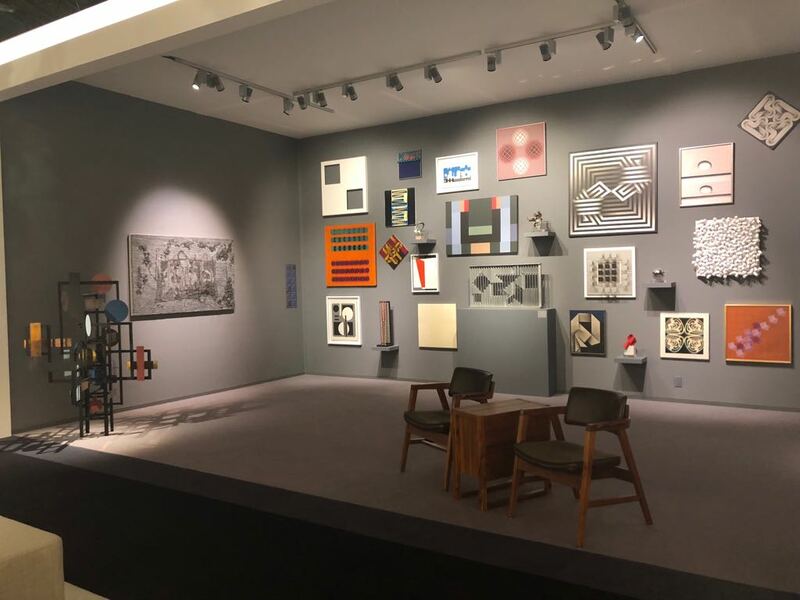 This panel, sponsored by The Snite Museum of Art, will be carried out in conjunction with the annual meetings of the Association of Art Museum Curators. 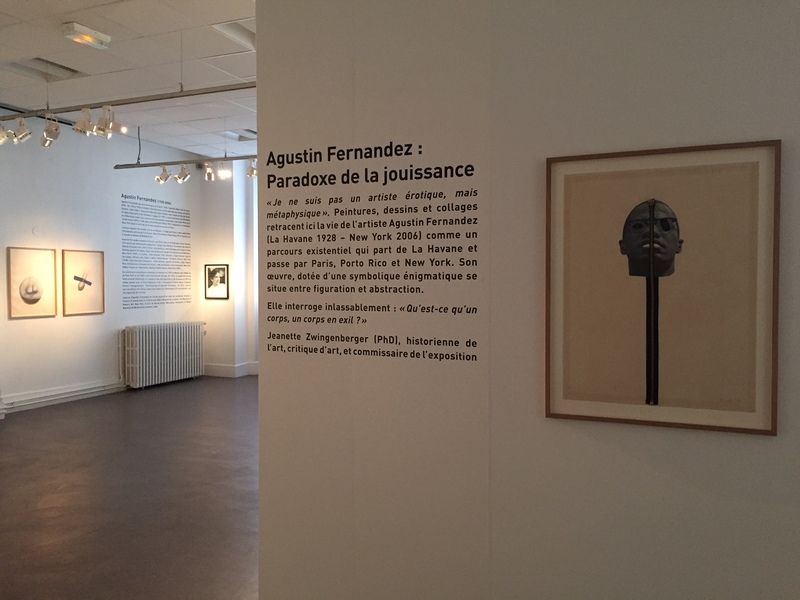 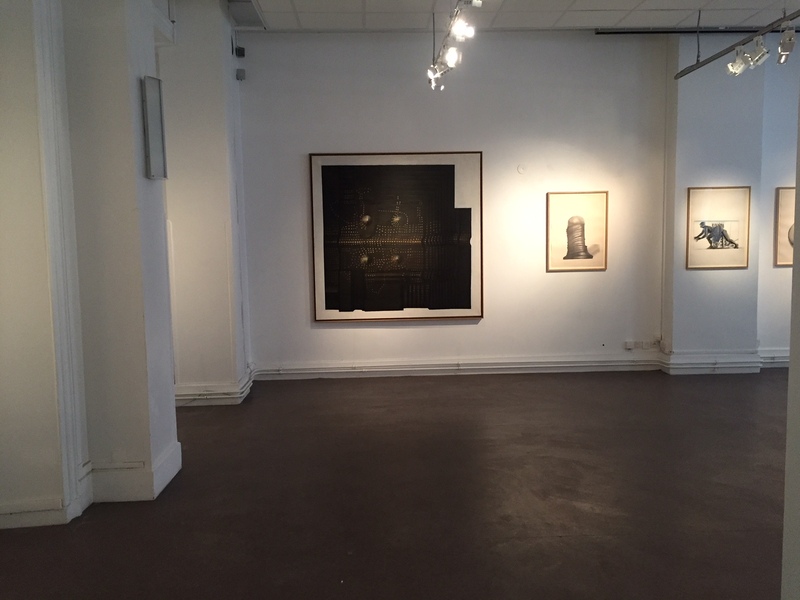 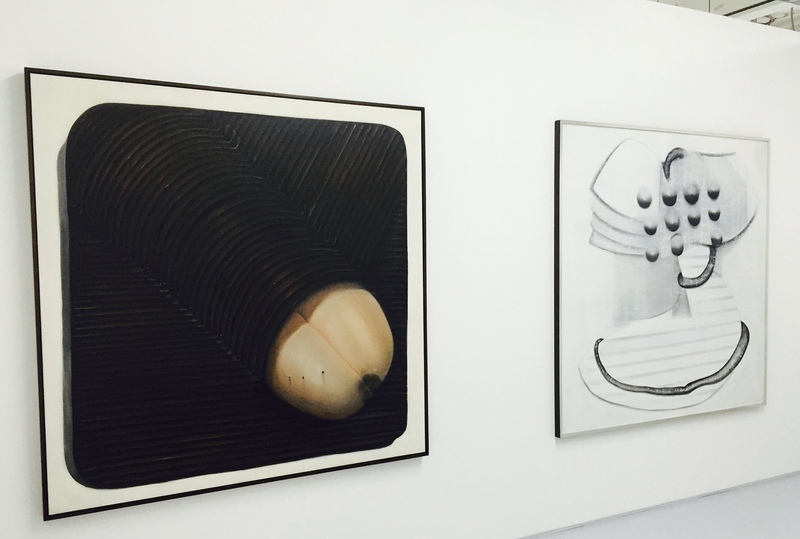 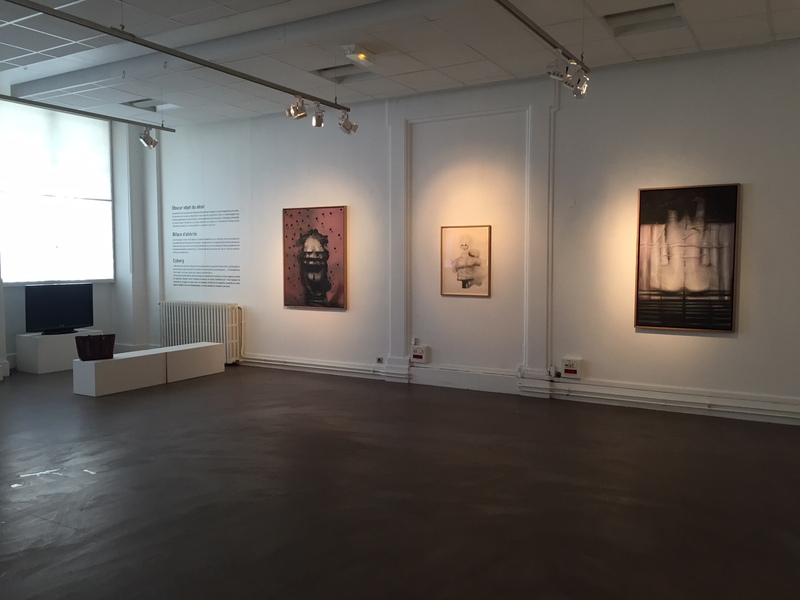 Encuentro de la Cultura Cubana showcases the work of Agustin Fernandez.